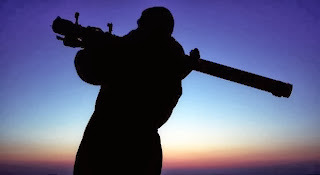 A Forward Observer with binoculars, a map and a radio or cellular phone can be positioned in a tall building, a hill, or any other place that has a good vantage point. 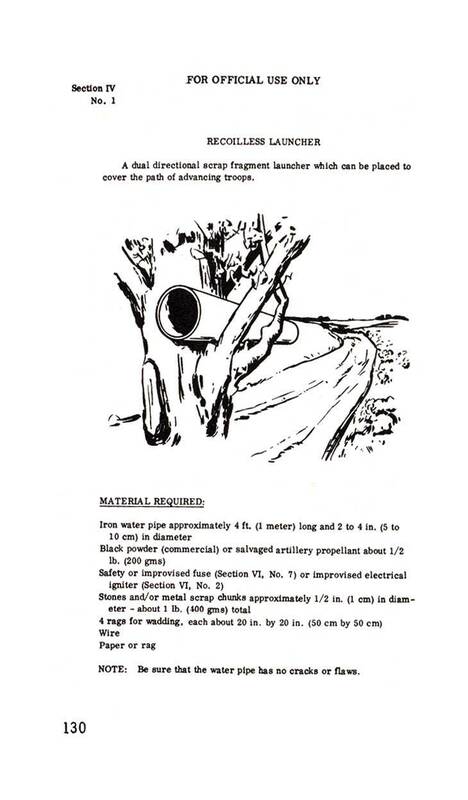 The forward observer tells the artillery unit where to place their fire, whether it is a hit or miss, to adjust their fire up, down, right, left, etc. 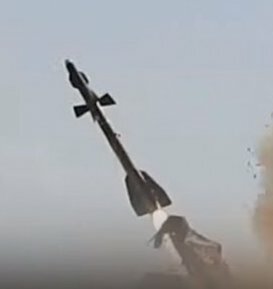 The smoke trails from rockets betray the launchers position. 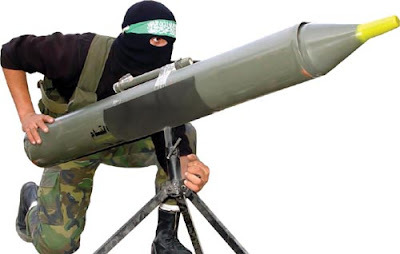 Rocket launchers should be mobile, and after firing, they should be quickly moved to another location. A multiple rocket launcher can be hidden inside a box truck. 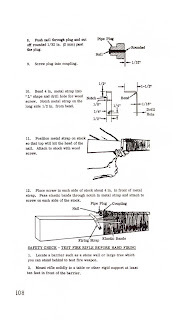 The top and sides of the box truck can collapse or be taken down. 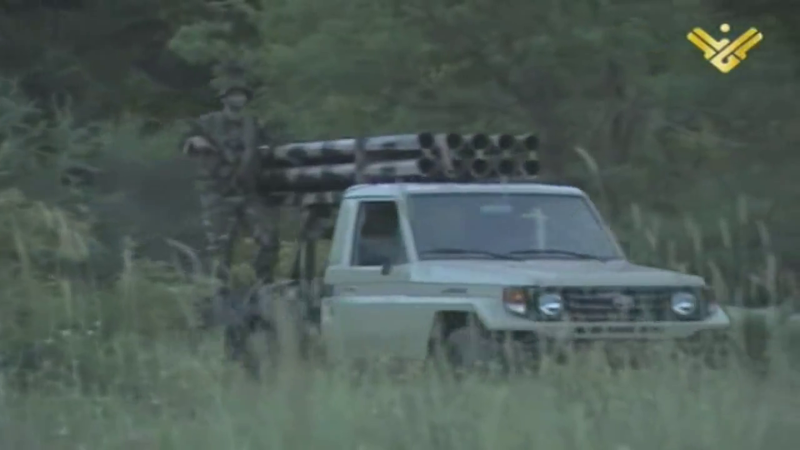 A multiple rocket launcher can be placed on the back of a pickup truck. 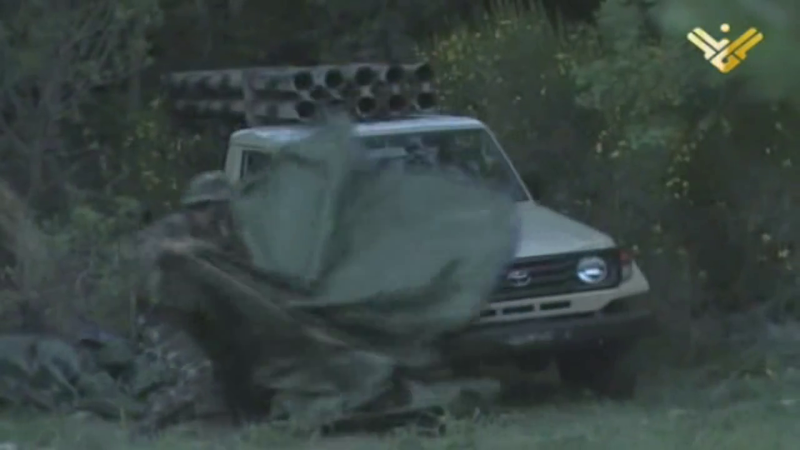 Once the rockets have been fired the truck quickly moves on to another site to hide and avoid counter battery fire and reload. "Shoot and Scoot". 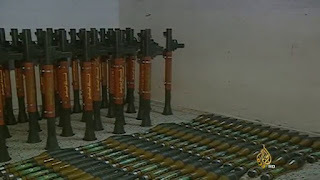 Large guns and rocket launchers can be hidden inside garages, houses or barns, rolled out and fired in the back yard, then quickly rolled back in after firing. 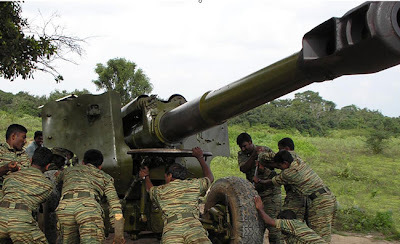 If the artillery pieces are too large to be rolled in and out of the doorway they can be broken down for storage and quickly reassembled outside for firing. 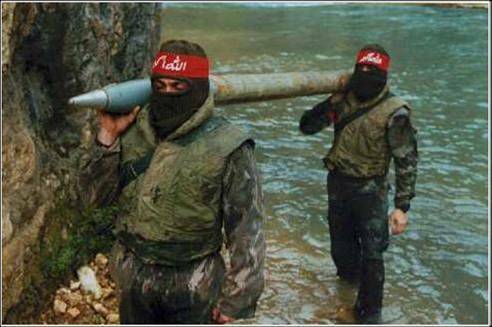 A scout team surveys for a secluded area where the rockets can be set up for firing. 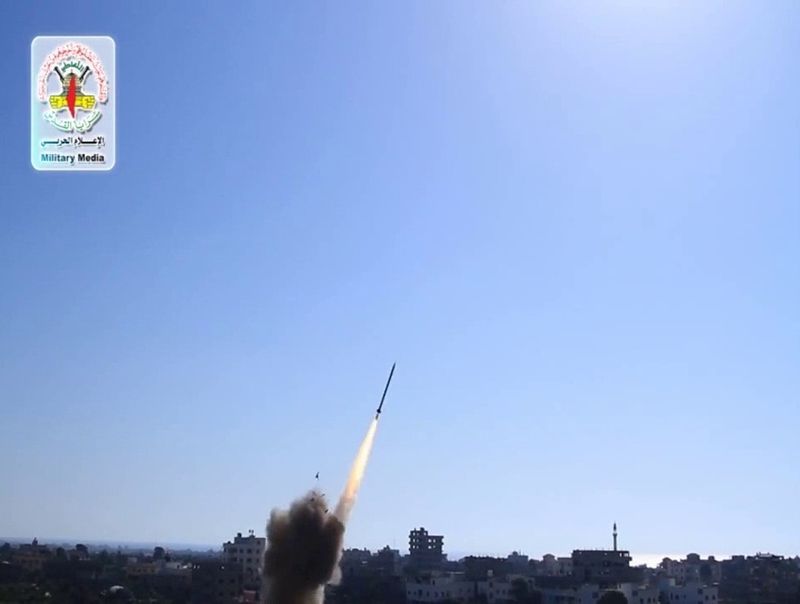 The elevation of the rockets and range to the target are also calculated accordingly. 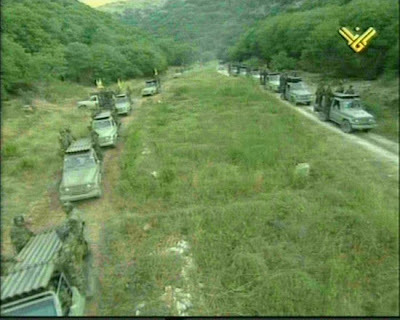 The scout team surveys the best route of approach to the site where the rockets are to be fired. 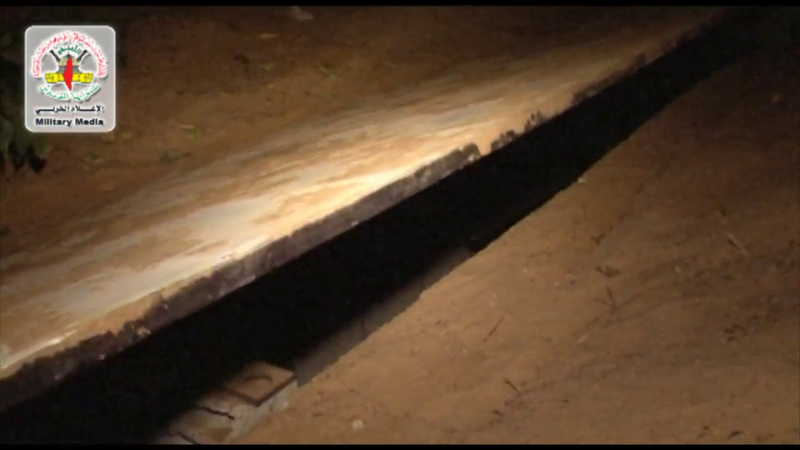 They also select the best route of escape and may choose a secondary route of escape in case things go awry. 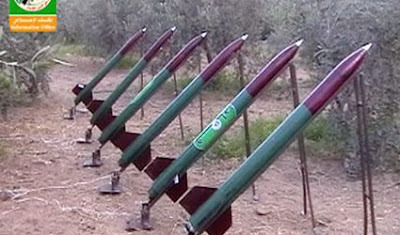 A single rocket or multiple rockets can be wired to a timing device and fired at a certain time, giving the team ample time to escape before the enemy arrives on scene. 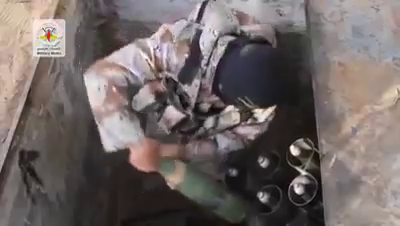 The rockets can also be fired manually. 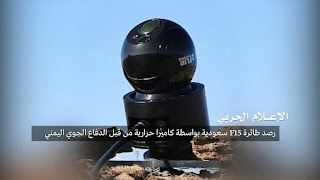 The rocket teams withdrawal may be covered by a small security force to ensure that the team doesn't get ambushed or taken by surprise at any time. 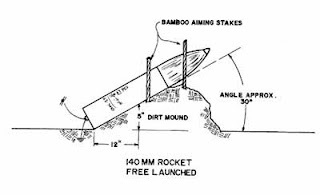 Individual rockets can be fired from their packing crates, wooden troughs, metal troughs, a metal tube, or even a hole dug in the ground. 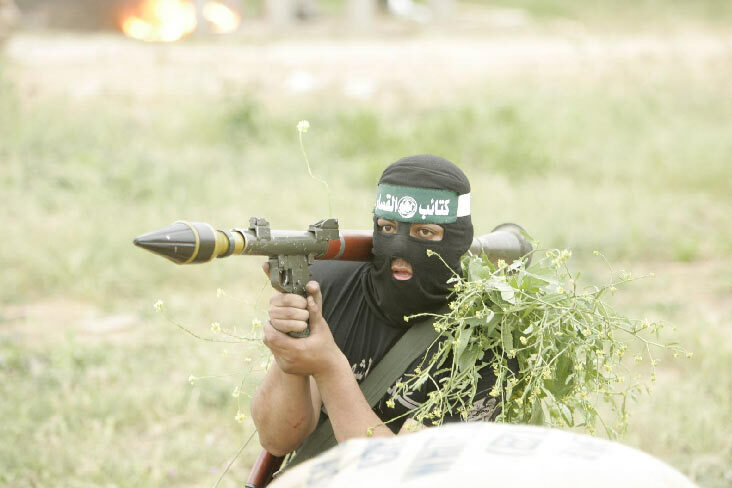 Decoy guns and rocket launchers can be used to deceive the enemy. So called "rocket clubs" can be established as a front by the government for experimenting with improvised and indigenous made rockets and missiles. 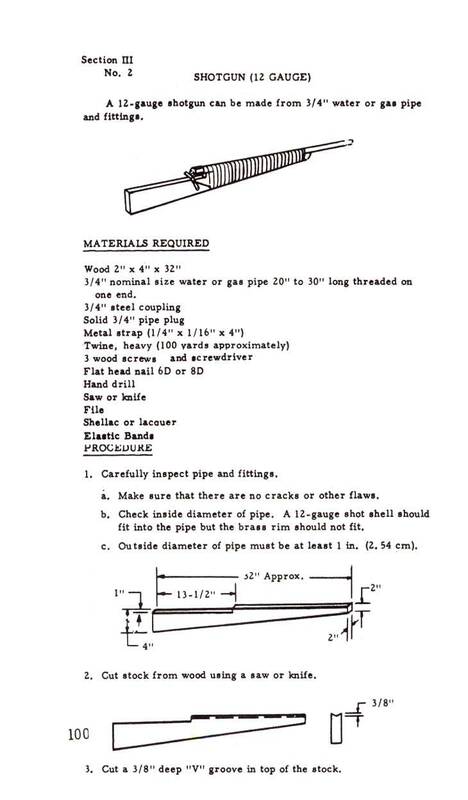 Engineers and scientists pretend to be civilian hobbyist. 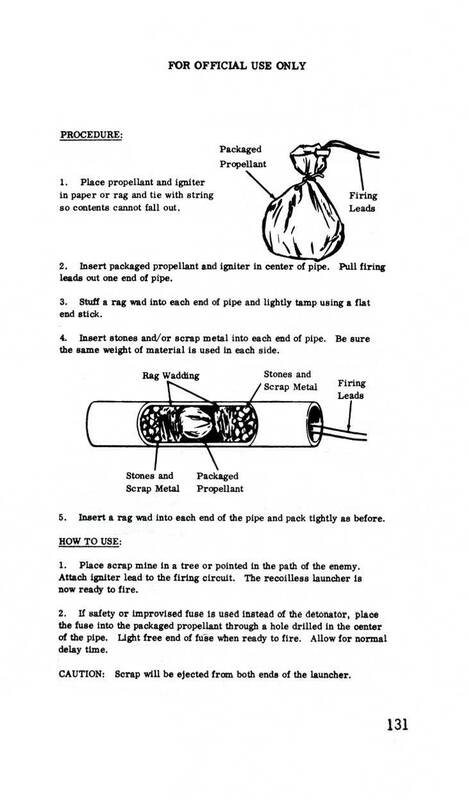 A warhead containing Picric Acid may be used if supplies of High Explosives run low. 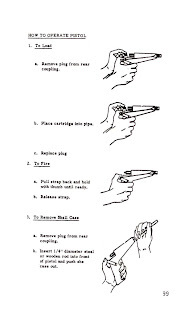 Aiming the rocket using a compass or aiming circle. Improvised Self-Propelled Guns such as the Pasilan 2000 produced by the Tamil Tigers. 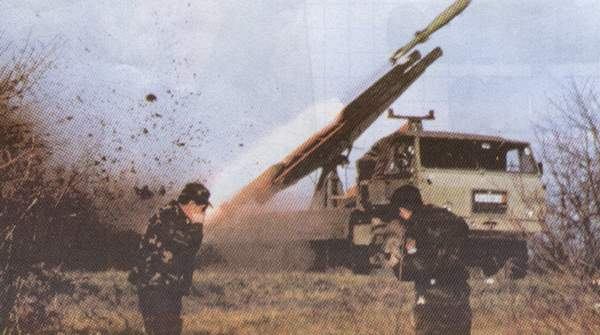 The Pasilan 2000 fires a warhead with 25kg of gelignite explosives. 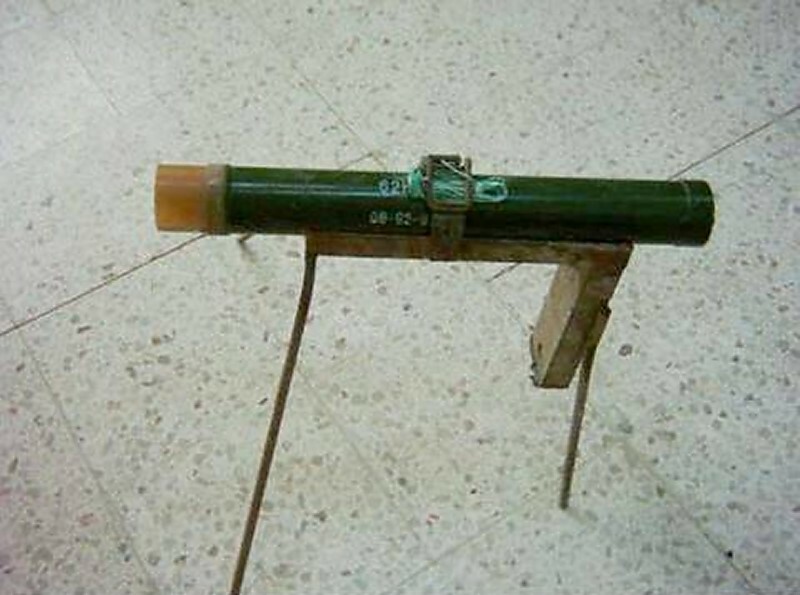 Improvised Rockets such as the Qassam series by HAMAS. 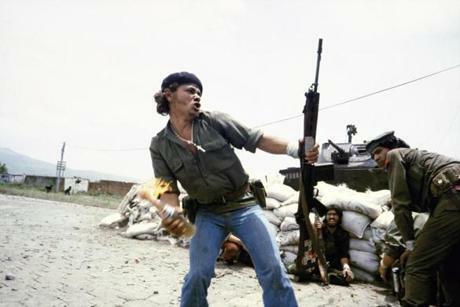 PA Luty improvised sub-machine gun. 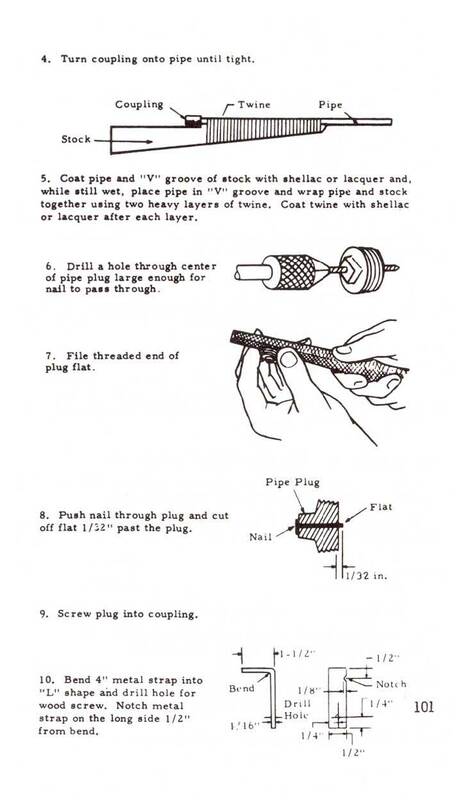 Can be made from easy to obtain parts. 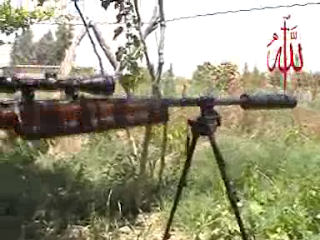 Palestinian made improvised sub-machine gun called the "Carlo". Looks similar to the Carl Gustav sub-machine gun. 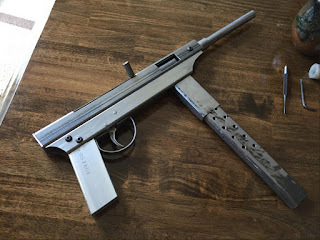 Convert a handgun into a machine pistol or sub-machine gun. Extended magazines can be added. 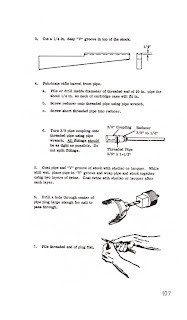 Re-tool air guns, BB guns, Airsoft guns, toy guns, blank firing guns or replica guns to fire real ammunition? 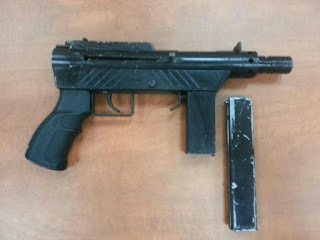 Many toy guns and replica guns are untraceable. 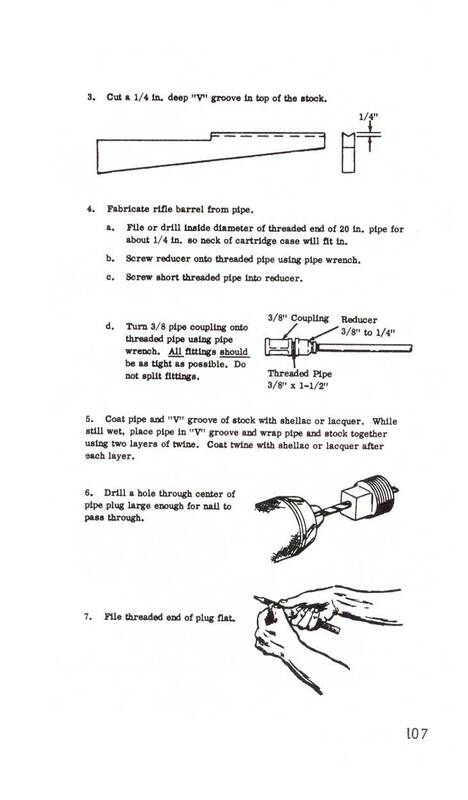 This method was allegedly used by the Aum Shinrikyo cult in Japan. 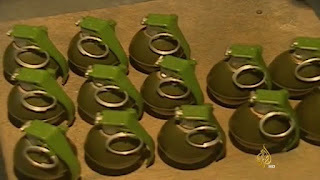 Five replica gun converted to fire real ammunition were found in raids by Japanese police after the 1995 Tokyo subway attacks. 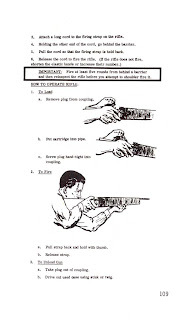 Activate a deactivated firearm by reversing the deactivation process. 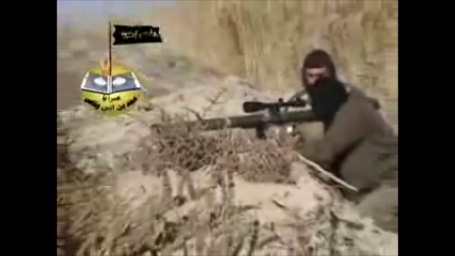 Member of the Mujahideen Army in Iraq with an improvised silencer on a sniper rifle. 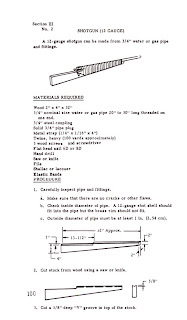 Example of PVC pipe silencer. 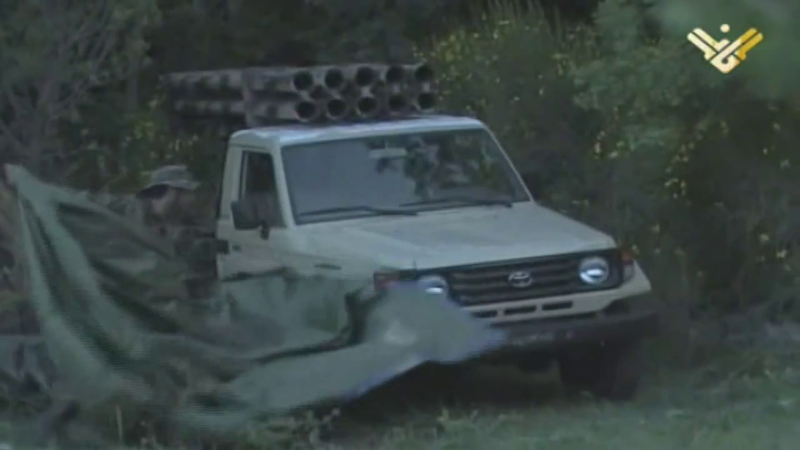 Camouflaged and hidden near roadways or paths. 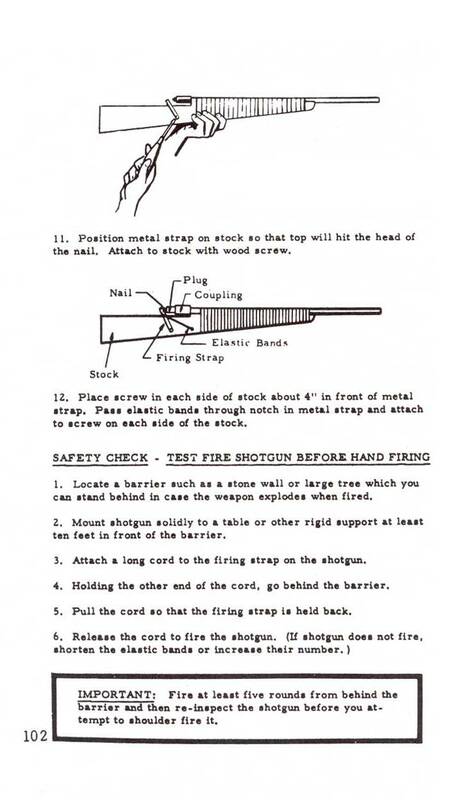 May be triggered by a trip wire, laser beam, or electronically fired. 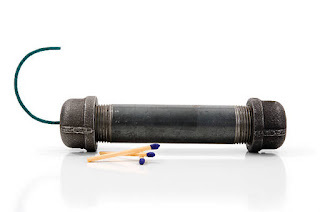 Bombs that attach magnetically to a metal vehicle, ship, aircraft, or object. 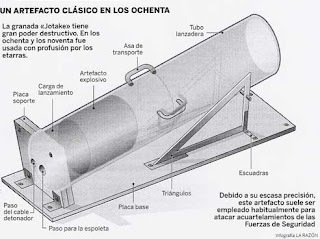 “Trench Howitzer”- The so-called “trench howitzer” of World War 1 origin, is a simple tube with a fixed firing pin at the bottom end, into which a bomb carrying a blank shotgun round and smokeless powder was dropped. 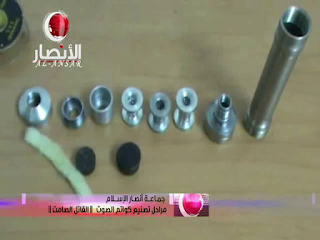 The cartridge hit the pin, igniting the powder and blew the bomb from the tube. 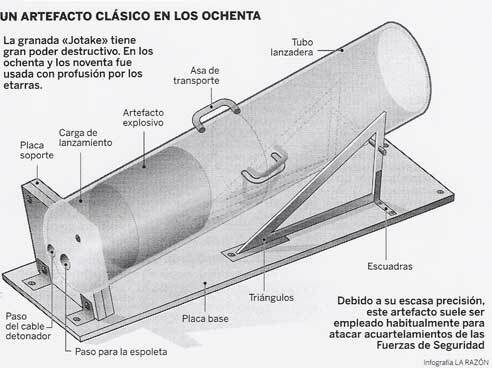 Improvised mortar called the Jotake used by Basque ETA. 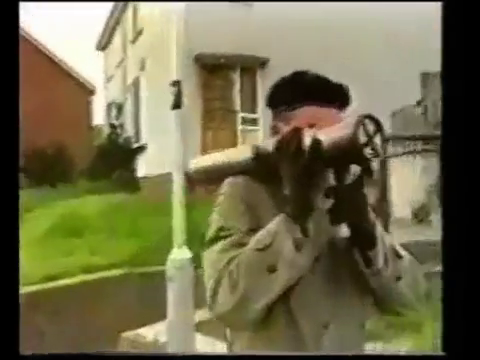 Series of improvised mortars used by the Provisional Irish Republican Army. 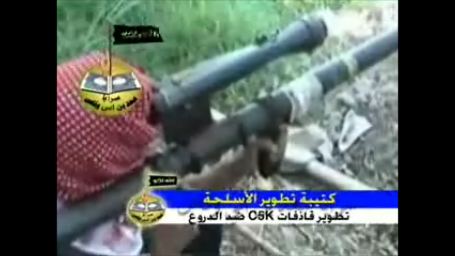 Mark 6- A 60 mm conventional mortar with a bipod and base plate and a range of 1,200 yards (1,097 m). 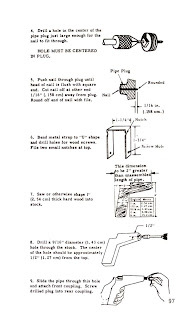 The shell was propelled by a charge of homemade gun powder, ignited by a .22 cartridge. 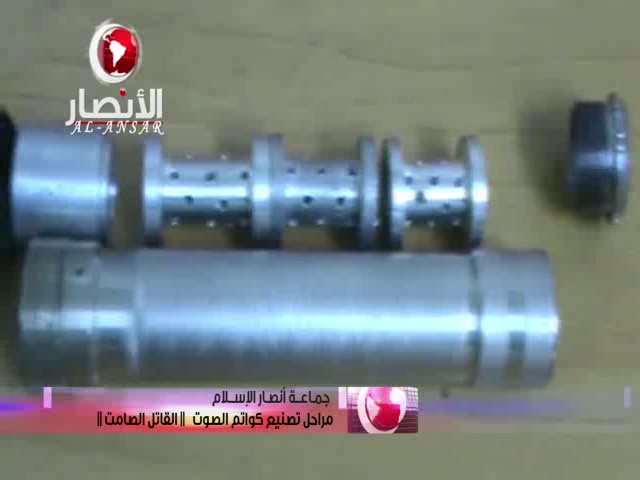 The warhead, made of 3 pounds of Semtex, was detonated by another .22 cartridge on impact. 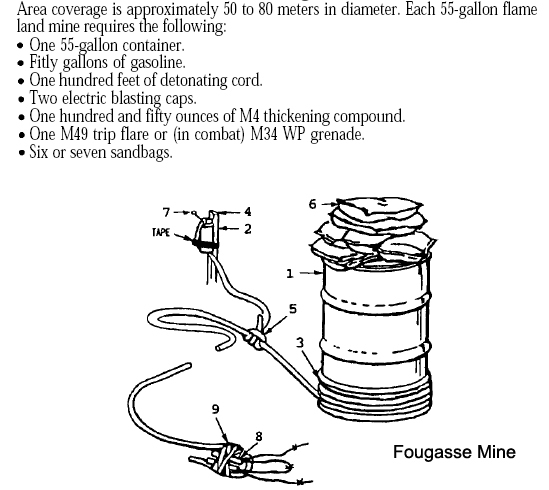 Mark 10- Contains 44-220 lbs (20-100 kg) of explosives. 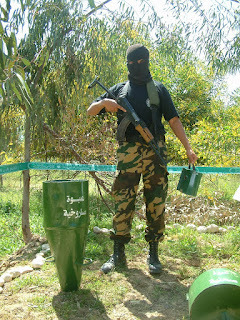 Mark 15- "Barrack Busters" One meter long metal propane cylinder with a diameter of 36 cm that contained around 70 kg of home-made explosives and with a range between 75 and 275 m.196-220 lbs (80-100 kg) of explosives. 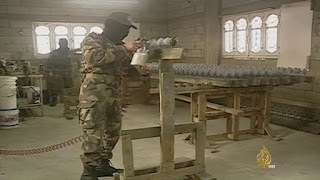 Improvised mortars used by the FARC in Colombia. 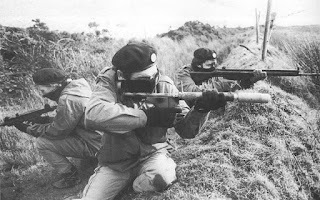 28 FEB 1985- Newry mortar attack on the Royal Ulster Constabulary post by the Provisional IRA, kills 9 members of the RUC. Done with a Mark 10 mortar mounted on the back of a stolen truck. 07 FEB 1991- The Provisional IRA attacks 10 Downing Street in London using a van with the top cut out and three Mark 10 mortars inside the van that fired electronically by a timer. 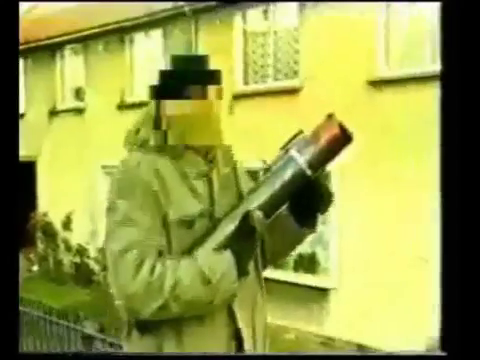 MAR 1994- The Provisional IRA attacks Heathrow Airport in London using Mark 6 mortars on the 8th, 10th and 13th of March. 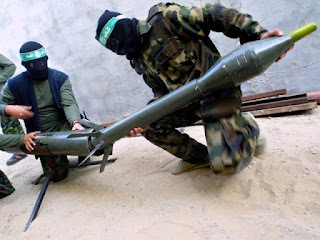 The M-75 improvised rocket manufactured by HAMAS. 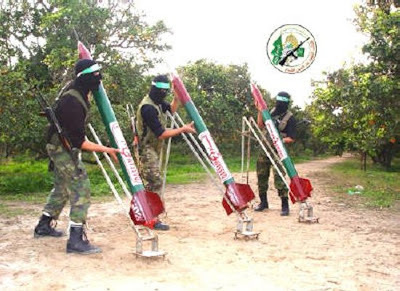 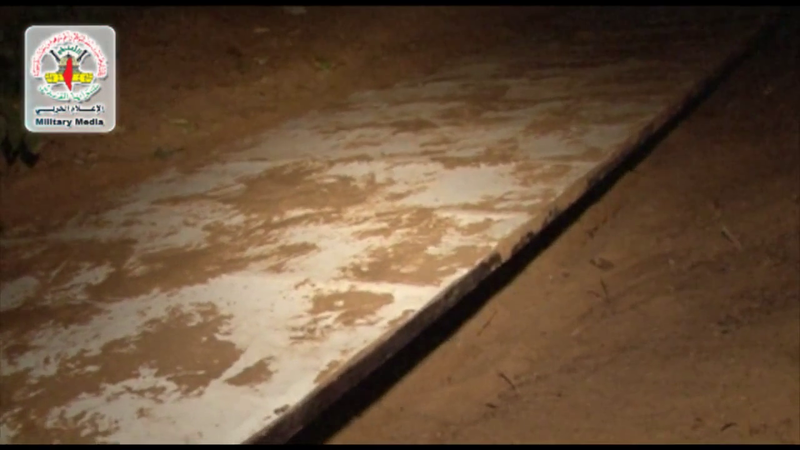 The Al Qassam series of rockets manufactured by HAMAS. Abeer- A rocket manufactured by the Islamic Army in Iraq that was named after a young Iraqi woman that was raped and killed by american soldiers. 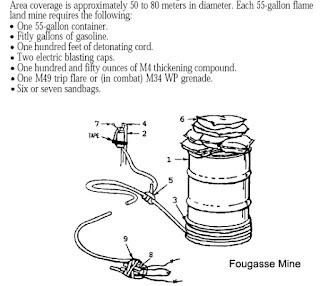 Uses 20kg of explosives. Underground rocket launcher with sliding top. 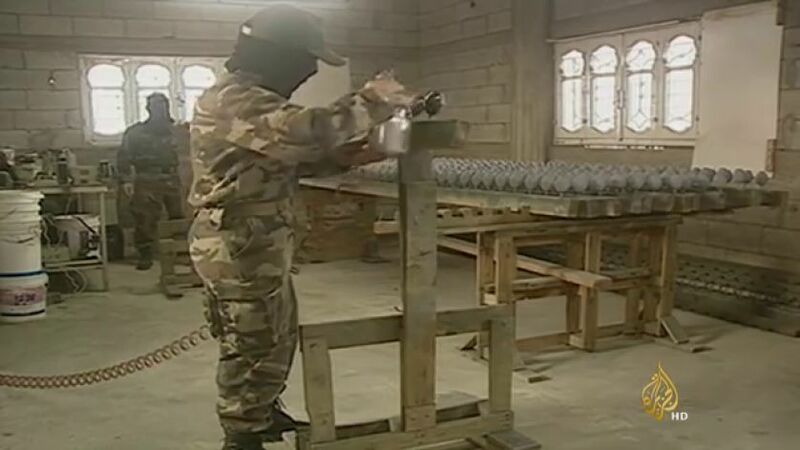 Guerrilla weapons making facilities that make grenades, rockets and mines. 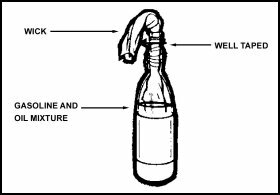 Grenades can be made from empty beverage cans, paint cans, soup cans, etc., filled with explosive material and lit by a fuse. Pipe bombs can be made with metal or PVC plastic pipes. Smaller pipe bombs with fuses could be used instead of military hand grenades. 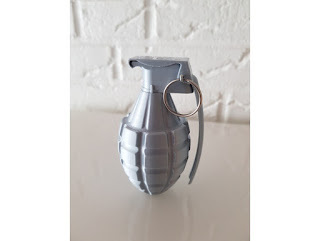 Can be painted with a flat forest green or black paint so as not to give off any shine or glare. British Home Guard preparing large quantities of firebombs in a small factory during World War 2. 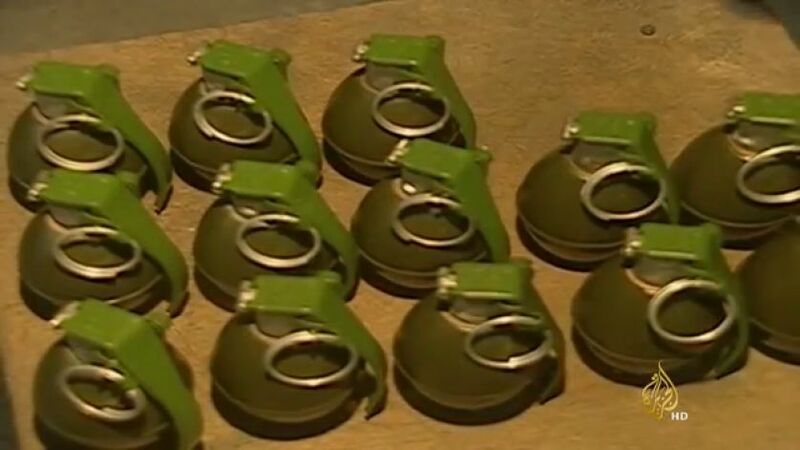 If metal is scarce hand grenades can be made out of hardened clay such as World War 2 Japanese and Soviet ceramic grenades and also medieval Arab ceramic grenades. The shells are made from clay. Designs, words, and patterns may be written or drawn on the clay shells before they are baked. 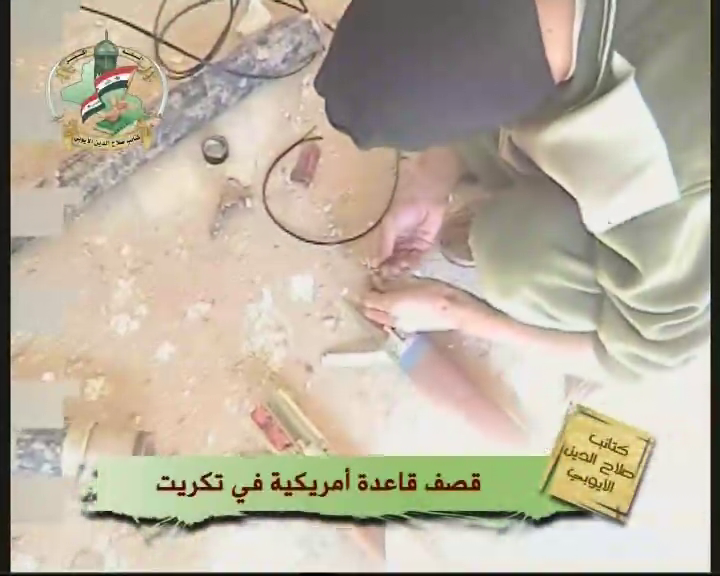 The clay shells are then baked to harden them. 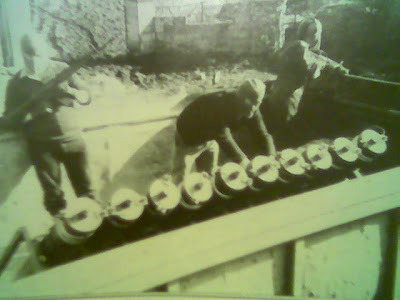 A glaze may be added to the baked clay shells. 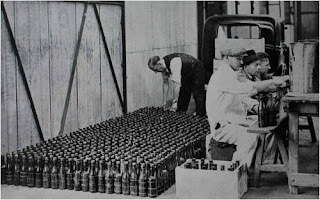 After the glaze has been added, they are put into an oven again to harden them further. 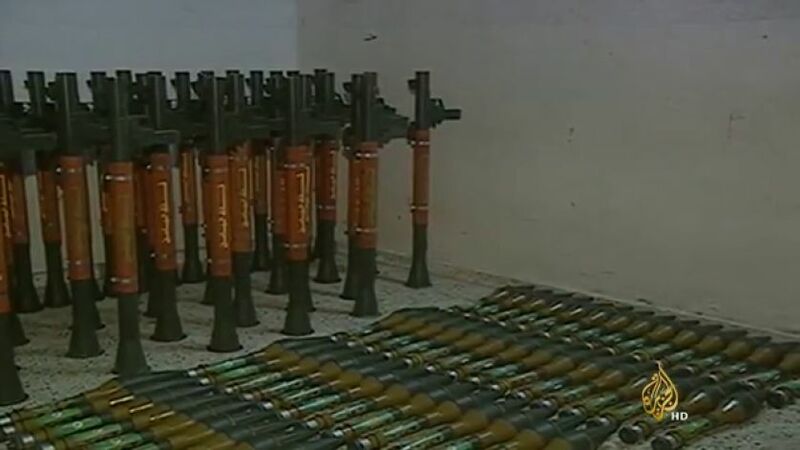 They are then filled with gunpowder. 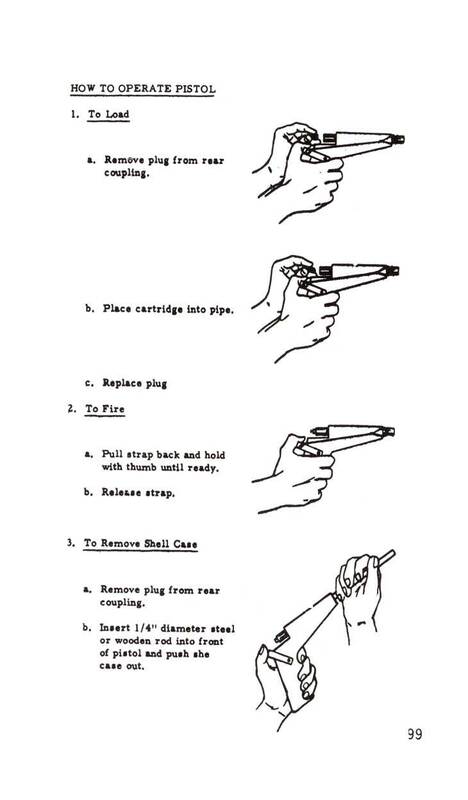 Fuse added. Improvised grenades made from glass soda bottles, filled with gunpowder. 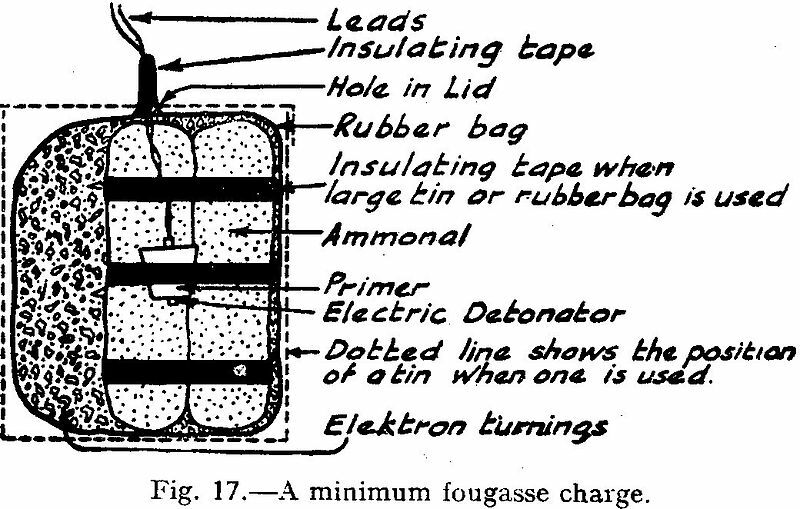 A fuse is then added. 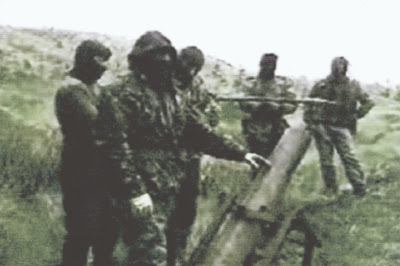 The Khattabka was an improvised hand grenade used by the Chechens. 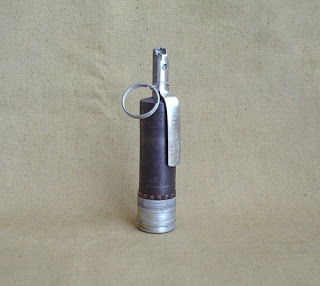 Made from a VOG-17 grenade. Named after Ibn al Khattab, the first leader of the foreign mujahideen unit in Chechnya. Lom-30 (Lion-30) was an improvised grenade launcher made by Chechen fighters. The Lom-30 fired the Russian VOG-17 30mm grenade. 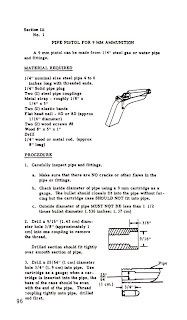 It may be necessary to add a heat shield to the launcher in order to protect the firer from the blast of the rocket or the operator can wear a protective mask, goggles, and clothing. 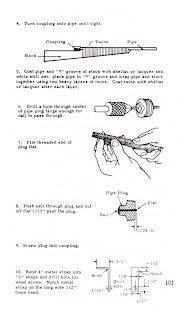 Some improvised launchers may take one man to fire the rocket and one man to load and to connect the ignition wires to the launcher contacts. 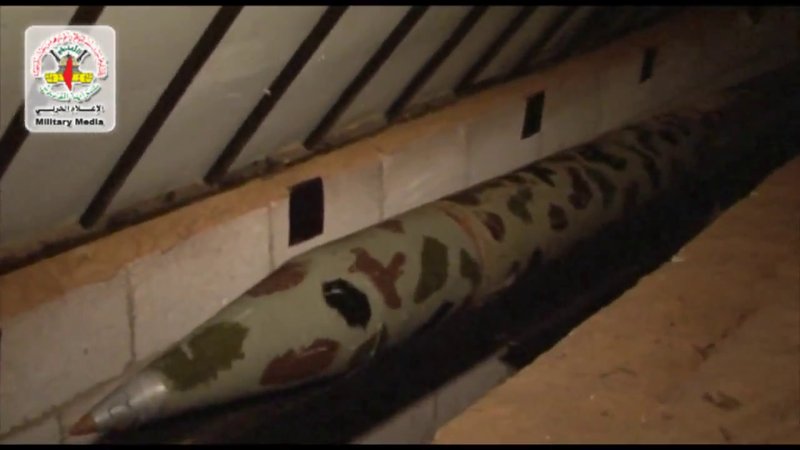 C5k (shoulder fired version) The C5k is actually a Russian S5K aircraft rocket. 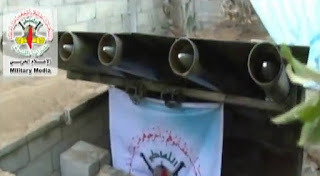 Used extensively in Iraq, these rockets are usually fired from improvised launchers. 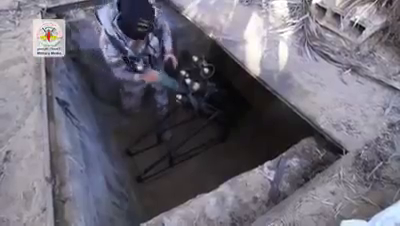 Can also be fired as a free rocket. 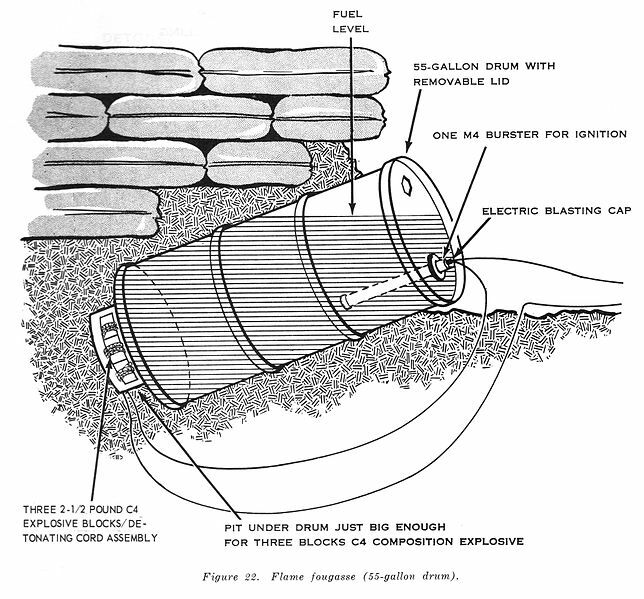 IPG or Improvised Projected Grenade. The projectile contains 40 ounces (1.1kg) of Semtex plastic explosive. 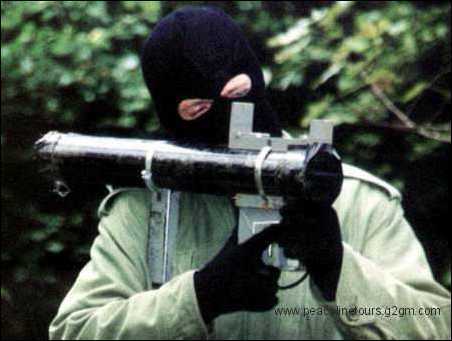 The IPG was and improvised grenade launcher made by the Provisional IRA. PRIG or Projected Recoilless Improvised Grenade. Improvised rocket launcher used by the Provisional Irish Republican Army. 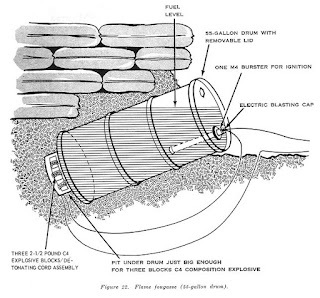 The projectile is made from a tin can with 600 grams of Semtex plastic explosive formed into a shaped charge for armor piercing capability. 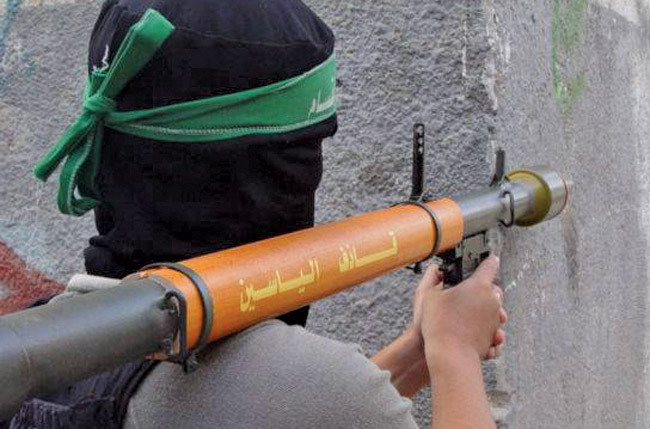 Yasin- The Yasin is a copy of the RPG-2 made by HAMAS. 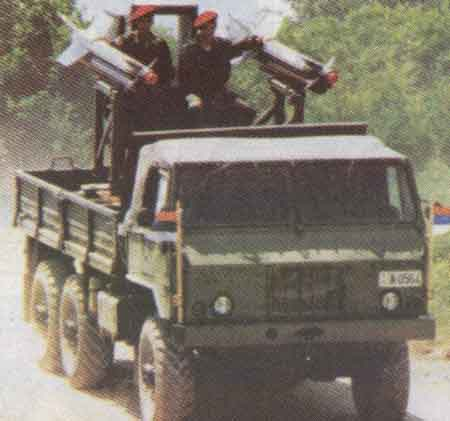 RPG-81- The RPG-81 was a RPG-7 rocket launcher that fire improvised rockets made from an 81mm mortar round and the motor of a PG-7 rocket. 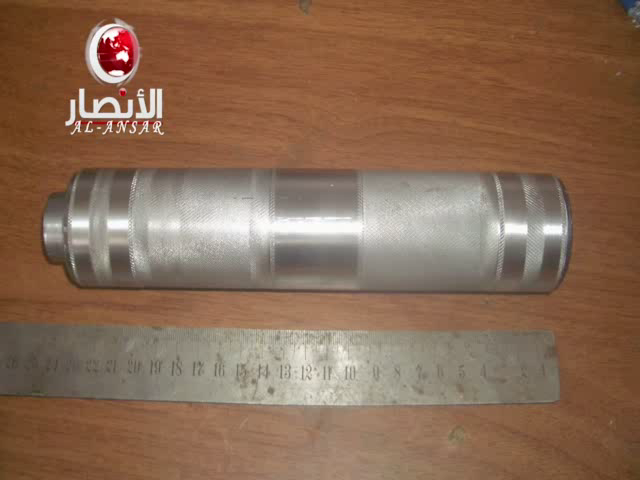 Either the U.S. made 81mm M374 or Russian made 82mm Model 0-832D mortar round was used. Used by the FMLN of El Salvador for indirect support fire not as an anti-armor weapon. 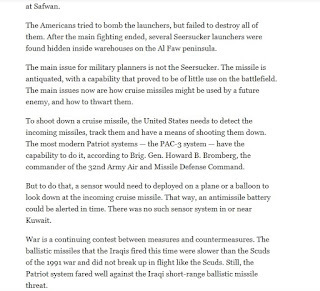 The range and accuracy was reduced due to the heavier warhead. 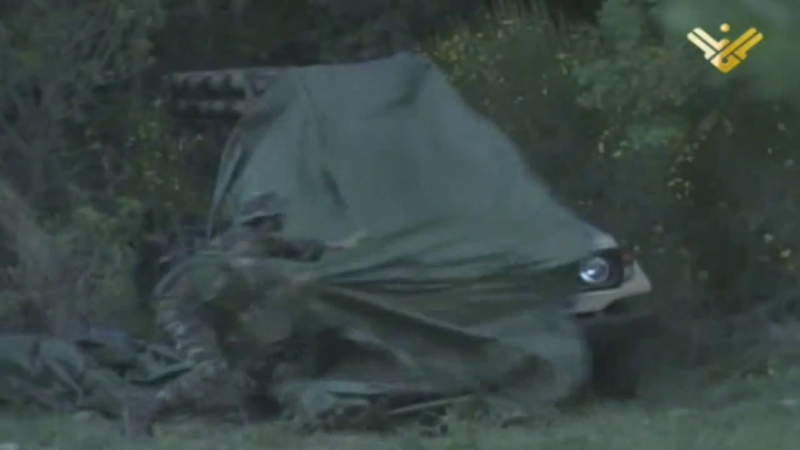 Has the advantage of mobility and firepower. 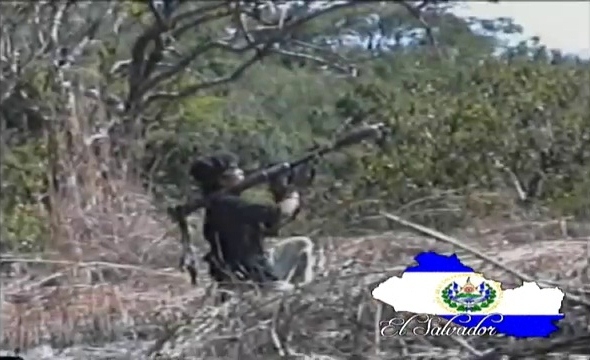 FMLN guerrilla firing what appears to be an RPG-81 round. 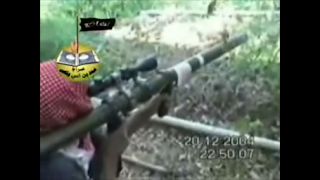 May be wire guided, laser guided or unguided. 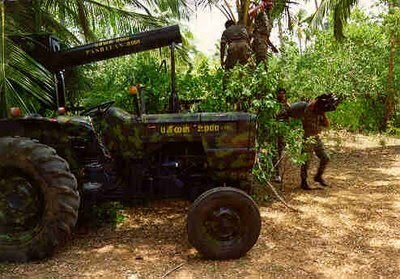 A long wire dragged behind the wire guided missile which sends out a signal for correction to the target. 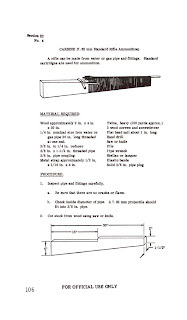 Characteristics: Could be long barrel to help reduce the recoil. Anti-tank rifles traditionally have a high muzzle velocity. May be bolt action or magazine fed. The simplest design would be bolt action. 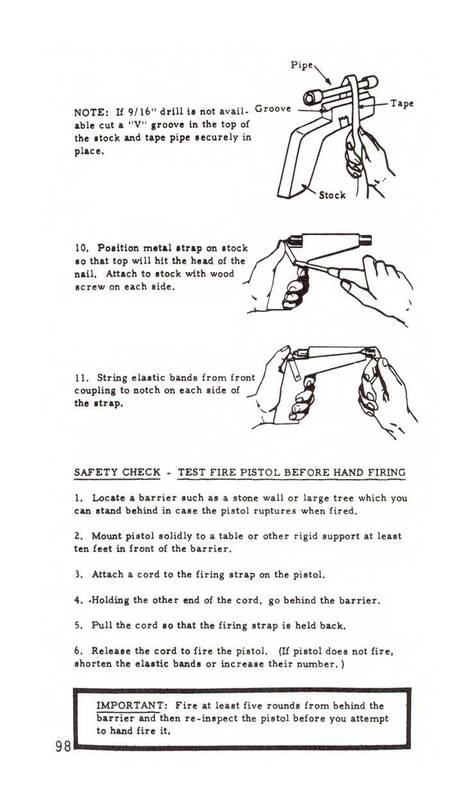 Uses armor piercing ammunition. Bamboo or metal tubes filled with explosives used to clear mines, create breaches in barbed wire, walls, berms, etc. 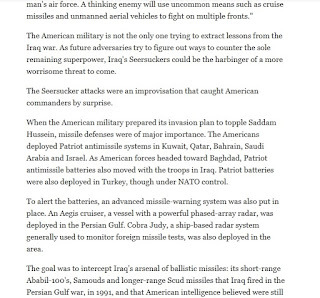 May have a high explosive warhead with ball bearings to scatter across a wider area. 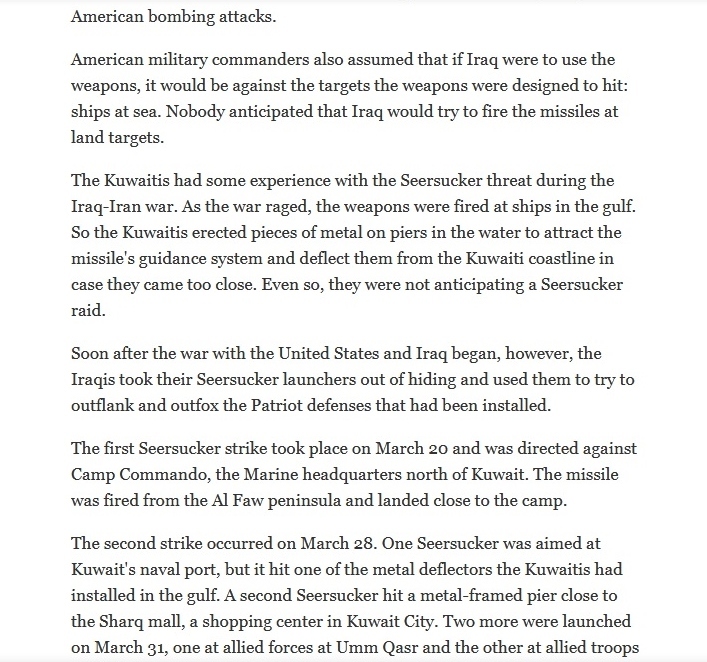 Fires an unguided rocket. 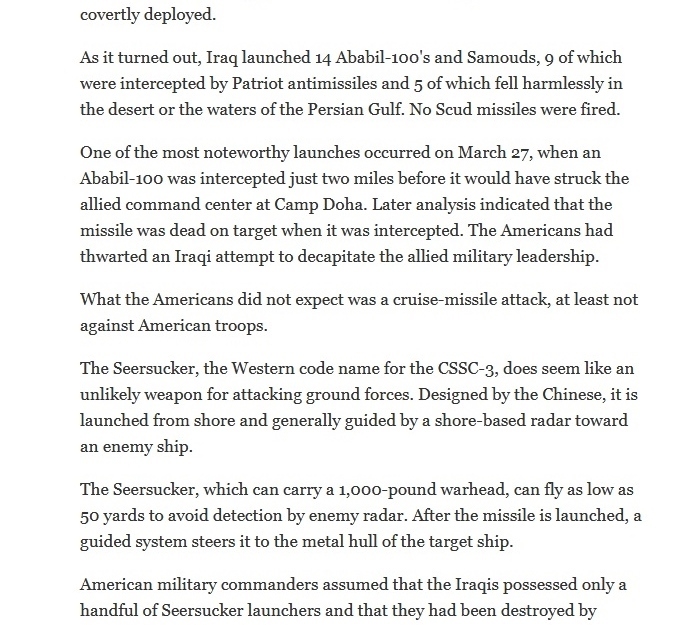 Not a guided missile. 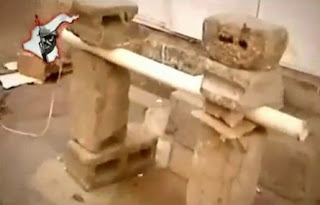 The launch tube can be made of aluminum, PVC pipe, etc. 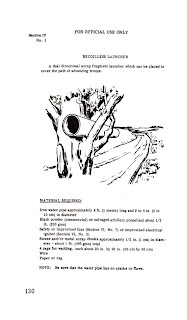 The launch tube can be around 5 feet long or so. 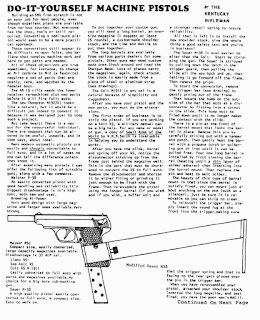 Two handles with a trigger mechanism between them. 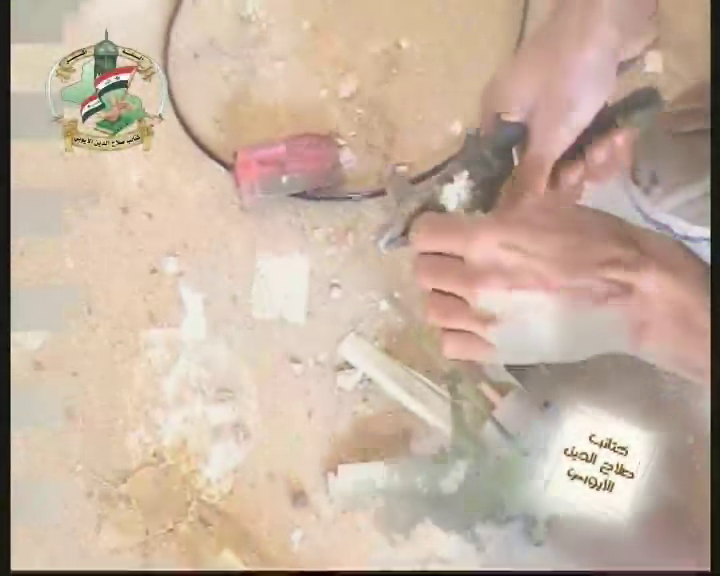 Battery attached to launcher with one wire that leads to trigger mechanism, other wire leads to rocket motor. 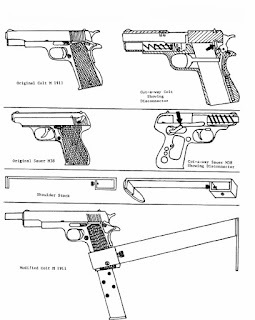 Some type of sight, scope or optics for the launcher. The rocket itself may have a proximity fuse. 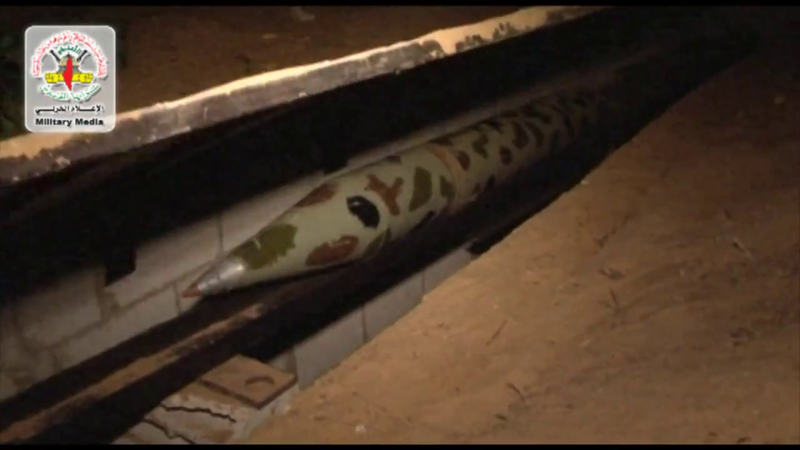 The rocket may have an impact fuse. 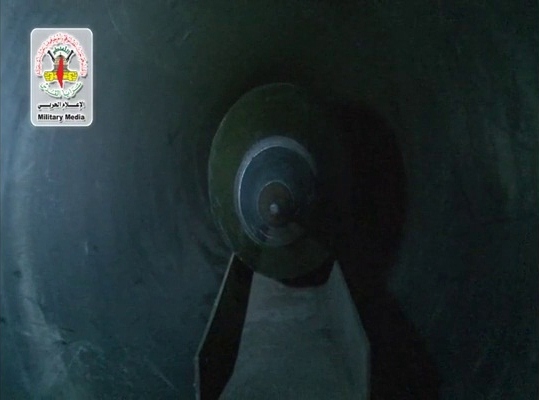 The rocket has a warhead with explosives and hundreds of steel balls. 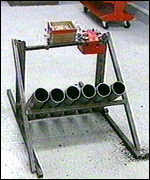 Tail fins on the rocket fold out upon the rocket leaving the tube. 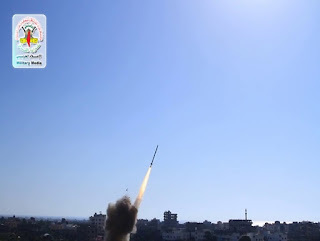 The firer must be familiar with the range of the rocket. 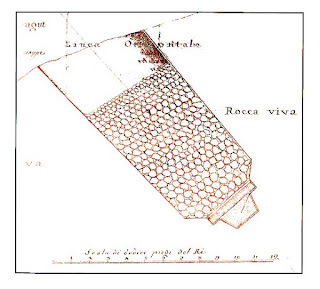 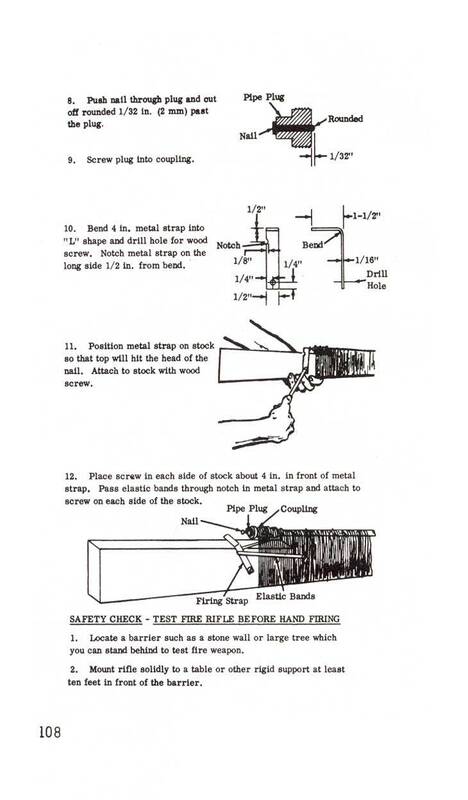 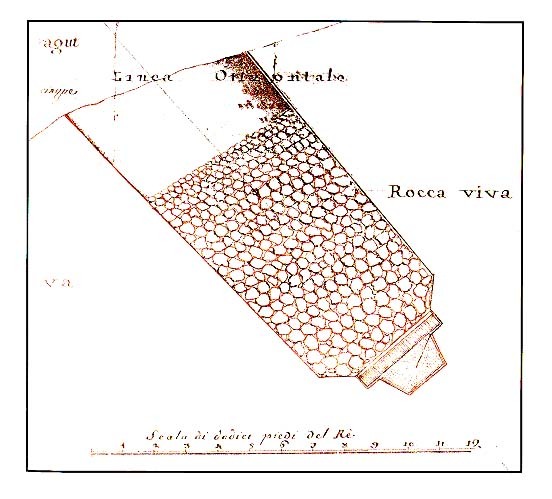 The firer must be properly protected from the blast of the rocket engine. In the 1970’s the Palestinian group Black September mailed letter bombs to israeli diplomats. 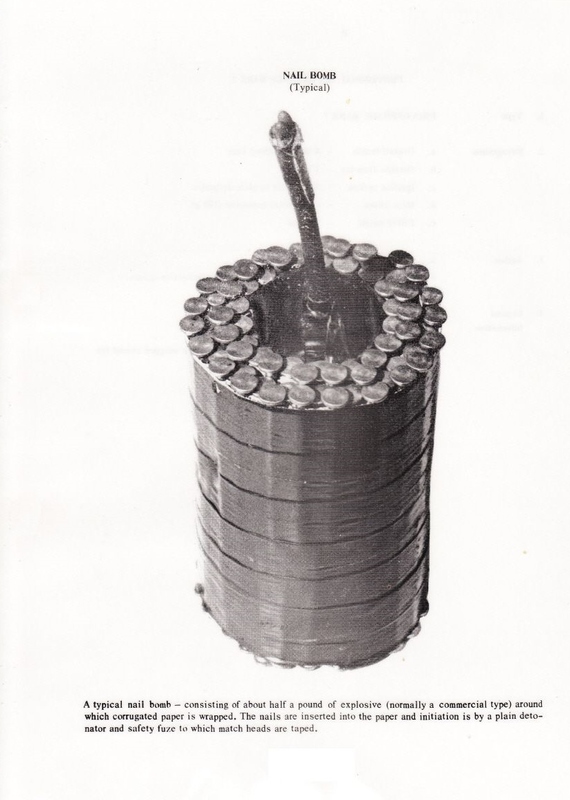 The letter bombs were spring-loaded devices that activated using a non-electric detonator. 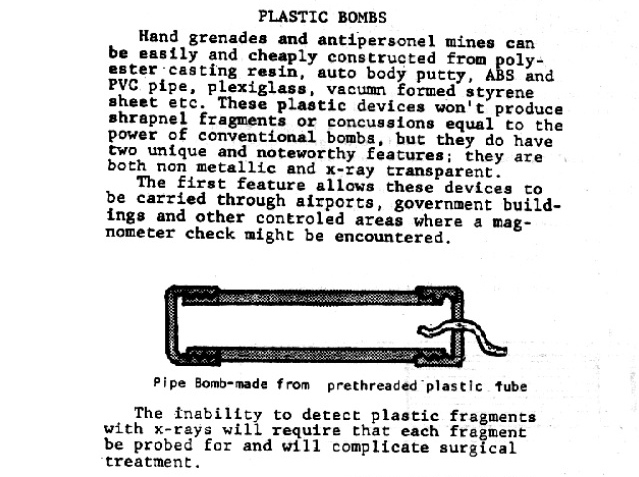 The flat sheet explosives used were mounted to cardboard. By the 80’s many mail bombs used the devices in musical greeting cards as a trigger mechanism. 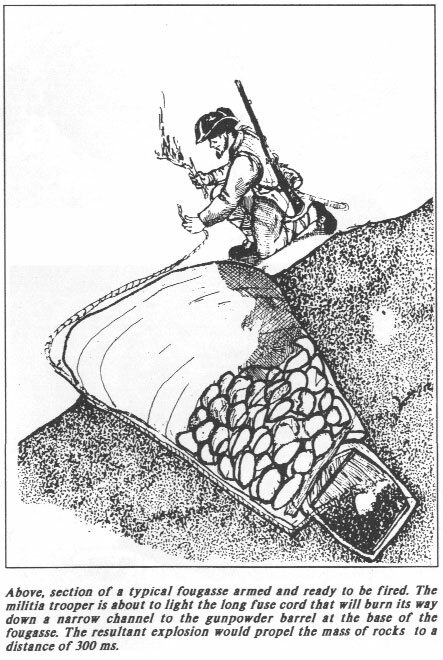 The cards consisted of miniature flat batteries and a circuit board. The musical cards were activated by metal leaf springs and a paper or plastic pull-tab. 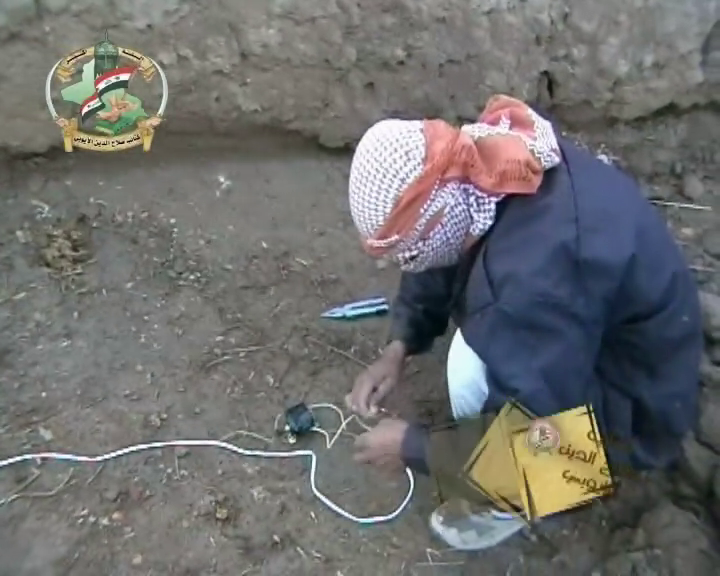 The cards were modified by adding a miniature detonator and a small sheet of PBX explosives. 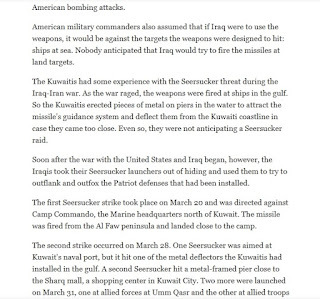 Sent mail bombs out from 1978-1995. 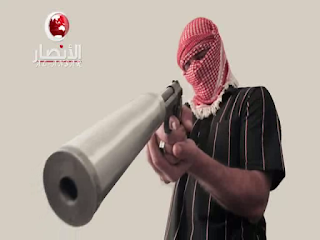 Killed 3 people. Injured 23 people. 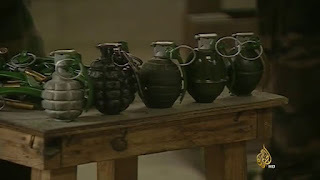 In 2010 Greek Anarchists mailed letter bombs to numerous locations in Europe including the Greek Parliament, the French, Swiss and Russian embassies and European leaders such as German Chancellor Angela Merkel, and French president Nicolas Sarkozy. Metsubushi (Eye Closers)- Small bags of paper or hollow eggshells filled with sand, pepper, and metal shavings. 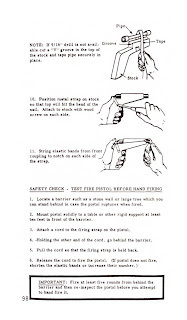 Hiya (Fire Arrows)- gunpowder filled paper tubes attached to an arrow, which could be fired at flammable or explosive surfaces or materials. 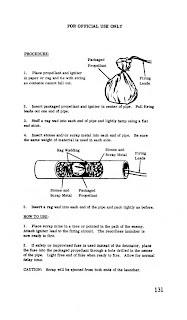 Hijo (Fire Sticks)- Sticks sharpened to a point at either end and passed through a gunpowder-filled ball of paper, which could be thrown like darts. Hidake (Fire Bamboo)- Short lengths of bamboo cane filled with gunpowder to make explosives or to spread fire. 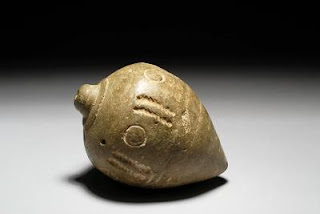 Hikyu (Fire Balls)- Hollow clay hemispheres, filled with gunpowder and then stuck together to create balls, with projecting fuses so that they could be used as primitive hand grenades, especially if they are also filled with other substances, such as nails or excrement. 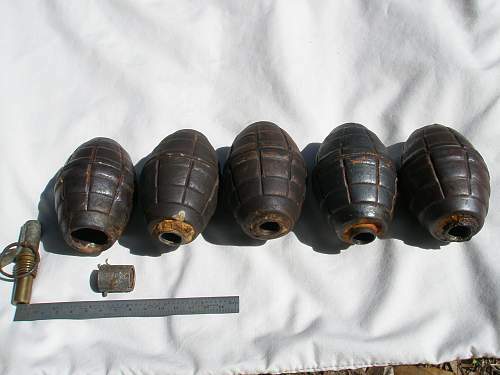 Torinoke (Birds' Eggs)- Eggs filled with gunpowder to make explosives or flash/smoke grenades and create an opportunity to escape. 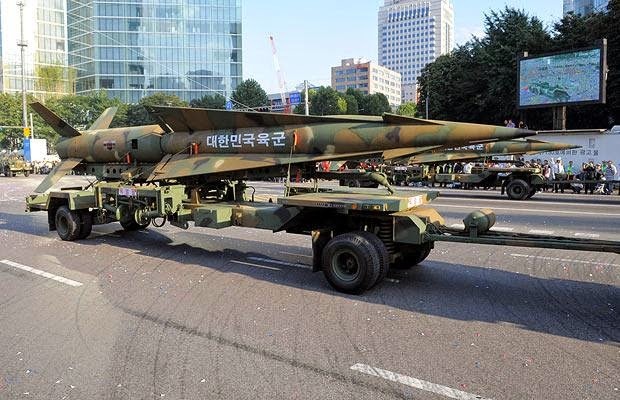 Surface-to-air missiles modified to be fired as surface-to-surface ballistic missiles such as the South Korean made Hyunmoo which was developed from the Nike Hercules surface-to-air missile or the Chinese M-7 ballistic missile, which was developed from the Chinese HQ-2 surface-to-air missile, which itself was developed from the Soviet SA-2 (S-75 Dvina) surface-to-air missile. 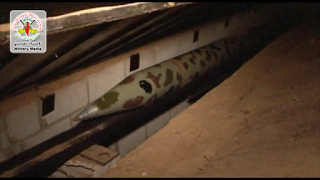 The Iranian Tondar 69 is also a ballistic missile developed from the Chinese M-7 ballistic missile. 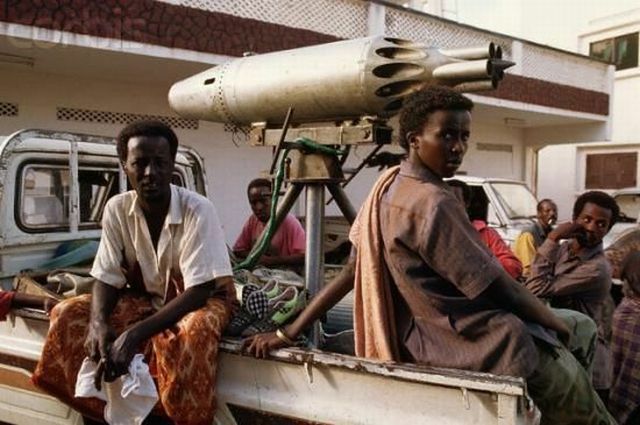 Anti-ship missiles modified and used as land attack cruise missiles. 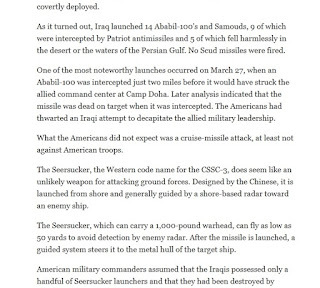 Modified anti-ship missiles were used by Iraqi forces during the 2003 US invasion of Iraq. Air-to-air missiles modified to fire as unguided ground rockets. 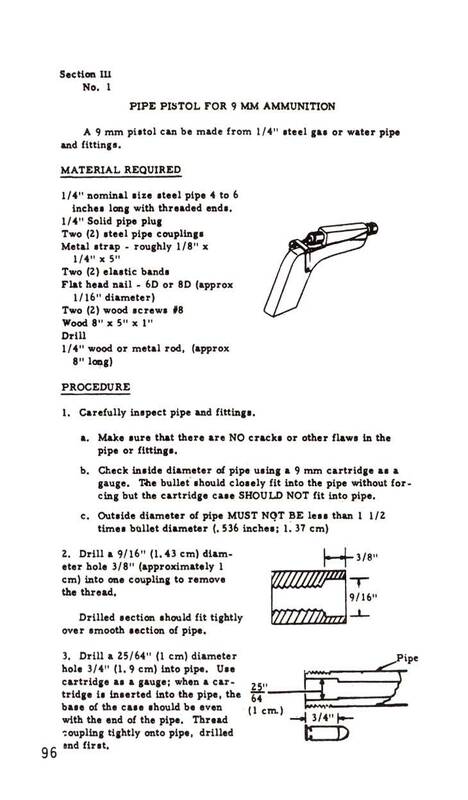 Hollow point bullets with cyanide in the tips. 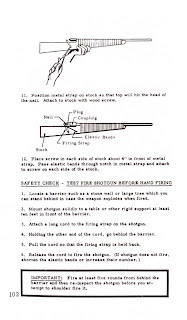 Sawed off and filed down rifles and shotguns. 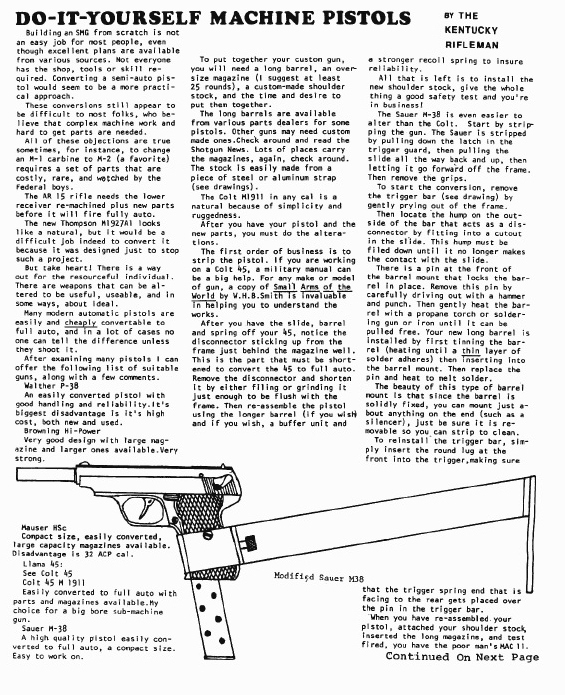 Semi-automatic guns modified to fire full automatic. 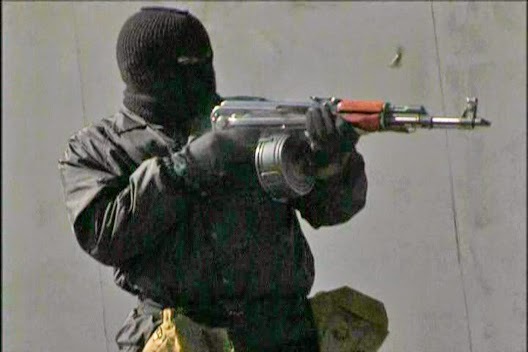 Screen capture taken from the movie "44 Minutes" detailing the 1997 North Hollywood shootout between law enforcement and two heavily armed bank robbers using semi-automatic rifles modified to fire full automatic with high capacity magazines. Rockets fired from aircraft, such as the S5K (C5K in Cyrillic) or the French SNEB rocket, can be fired on the ground as free rockets. 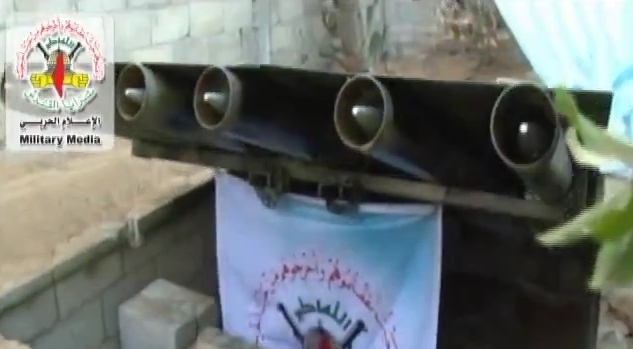 Rocket pods cannibalized from aircraft and helicopters and fired from the ground. 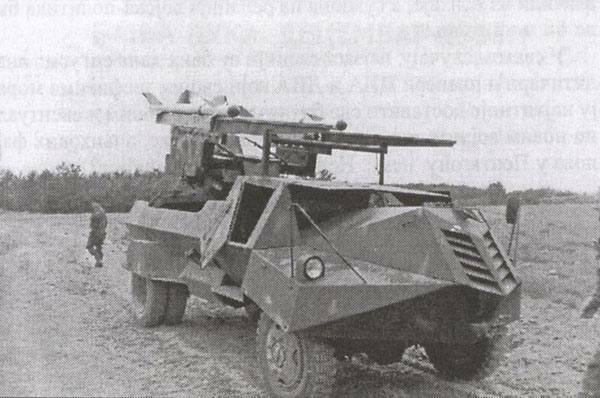 Serbian armored vehicle with cannibalized aircraft rocket pods. Air-to-air missiles can be modified to fire as unguided ground rockets or fired from vehicles. 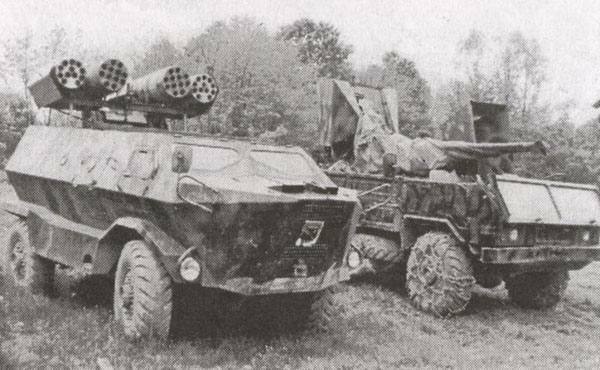 Serbian vehicles with modified air-to-air missiles during the Yugoslavian Civil War. Serbian forces utilized the R-3, R-60, and R-73 air-to-air missiles. 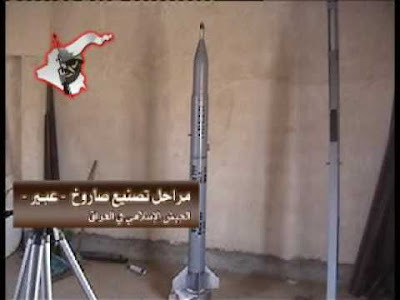 R-27 (AA-10 Alamo) air-to-air missiles are believed to have been modified and fired as surface-to-air missiles in Yemen. 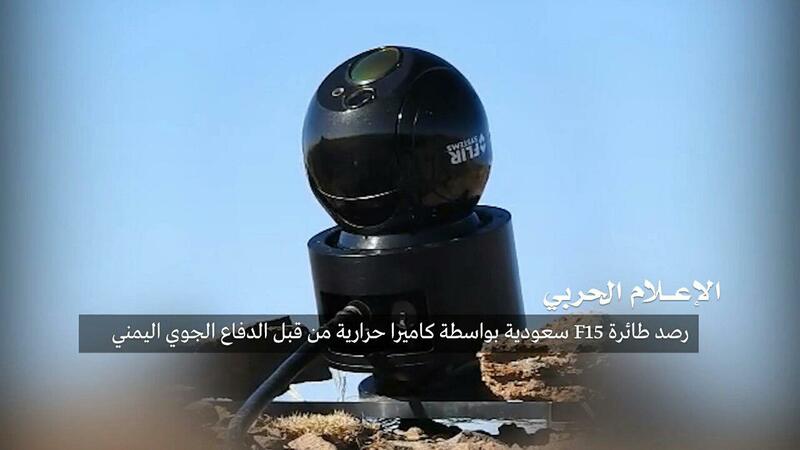 The enemy aircraft and the missile were believed to have been visually tracked using an infrared camera. 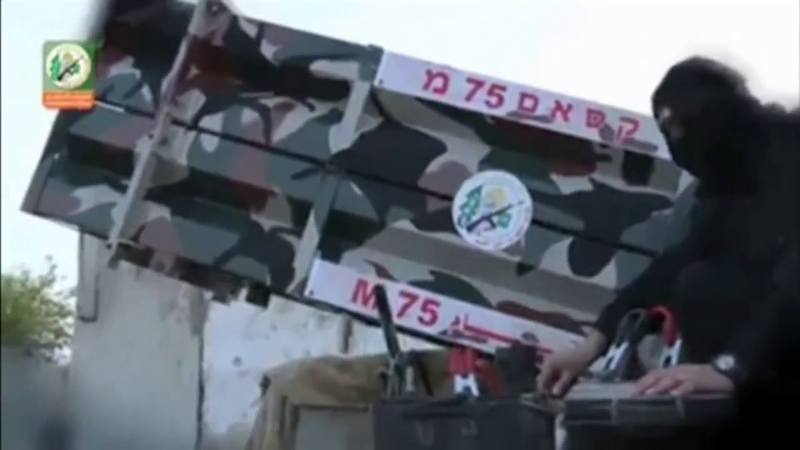 The MIM-72 Chaparral air defense system uses a modified AIM-9 Sparrow air-to-air missile. The SPYDER air defense system uses the Python 5 and Derby air-to-air missiles. 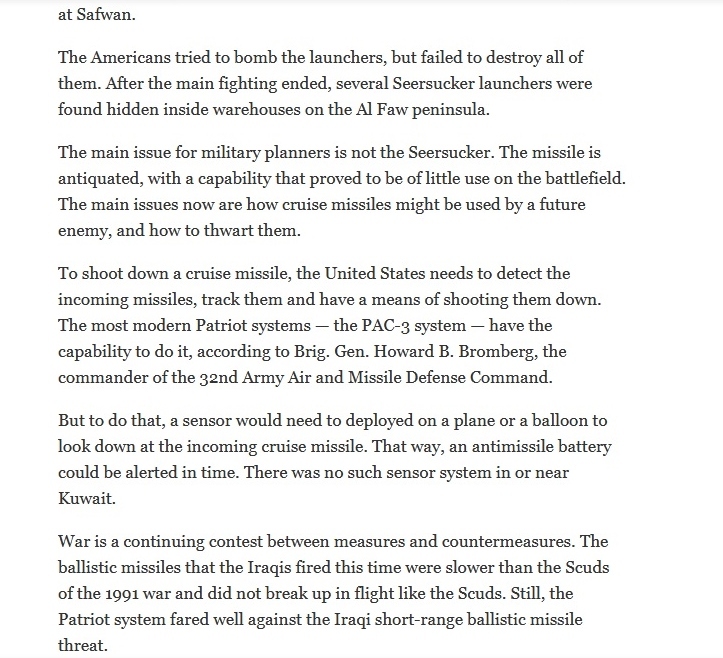 The SLAMRAAM missile is a surface launched AIM-120 AMRAAM air-to-air missile. The SPADA air defense system uses a version of the Aspide air-to-air missile. 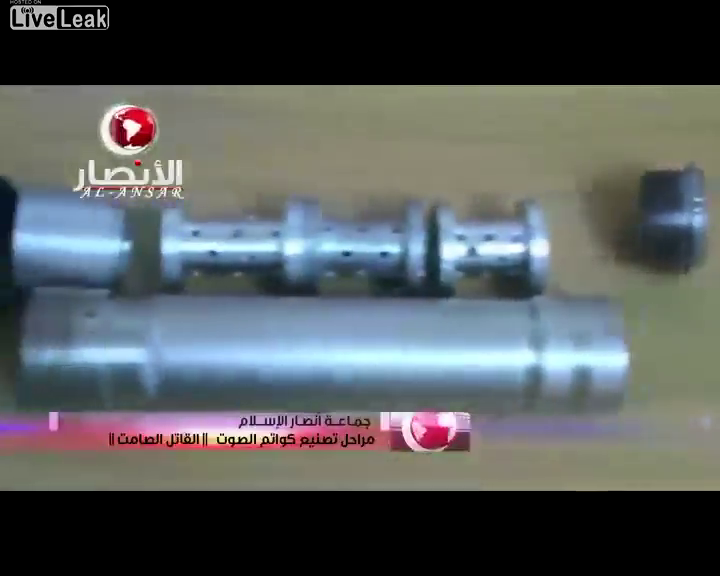 Also called "Flying IED's" and "Lob Bombs"
Basically a rocket assisted bomb. 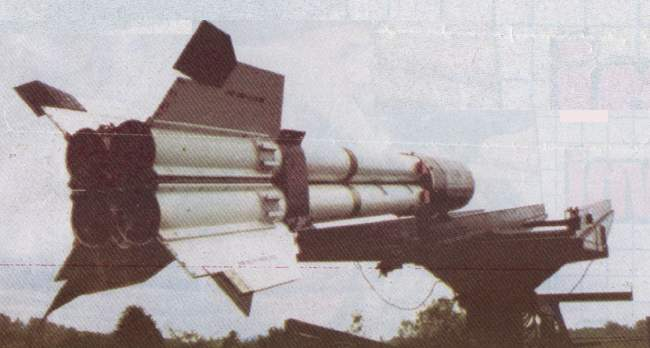 Serbian Improvised Missile consisting of an aircraft bomb and four K13 (AA-2 Atoll) engines. 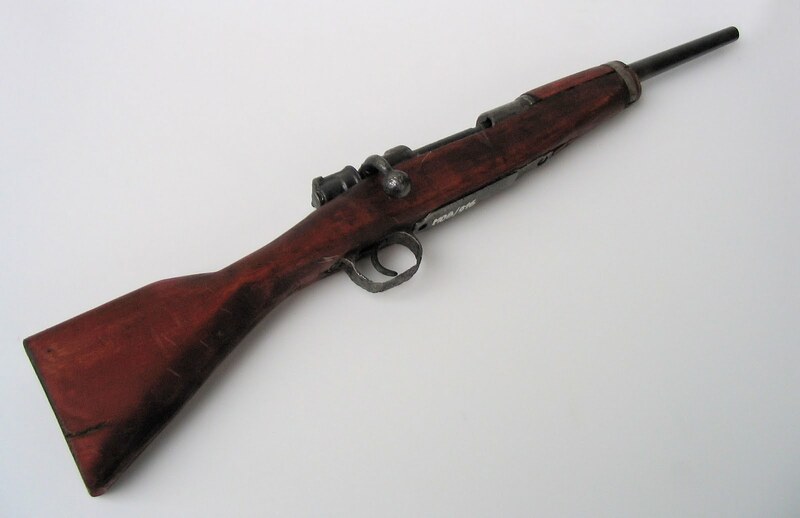 Used during the Civil War in Yugoslavia. 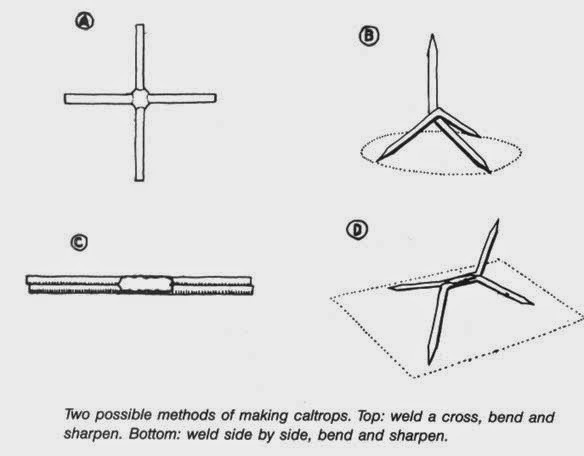 Parts cannibalized from one aircraft to another similar aircraft. 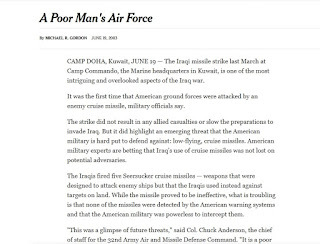 Weapons and equipment cannibalized from on aircraft to a similar or dissimilar aircraft. 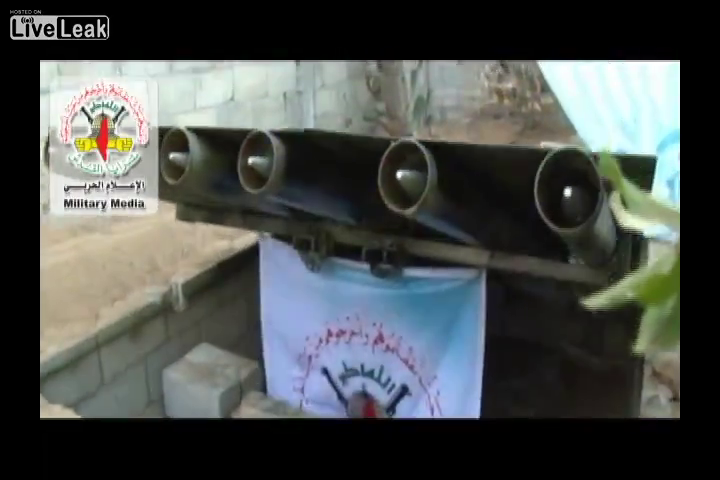 Missiles and rockets taken from aircraft fired as ground rockets. 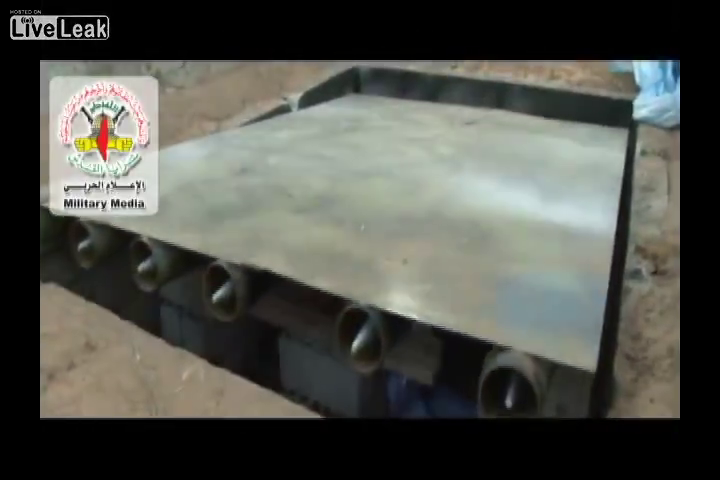 Rocket pods taken from aircraft and mounted on ground vehicles. 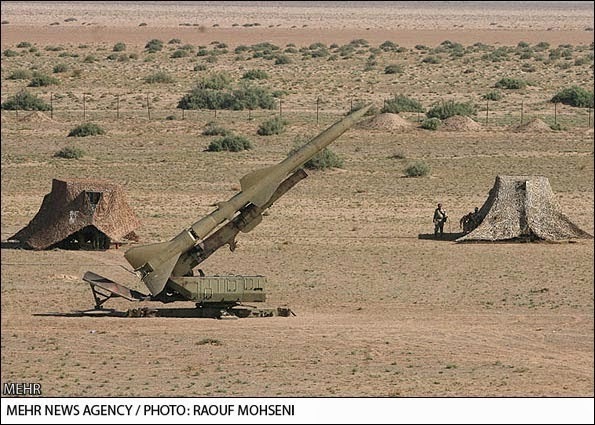 Guided air-to-air missiles taken from aircraft and modified to be fired as a surface-to-air missile. 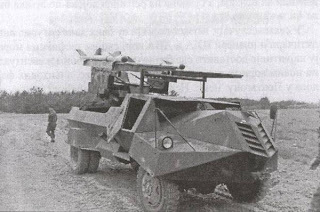 Guns taken out of aircraft and mounted on ground vehicles. 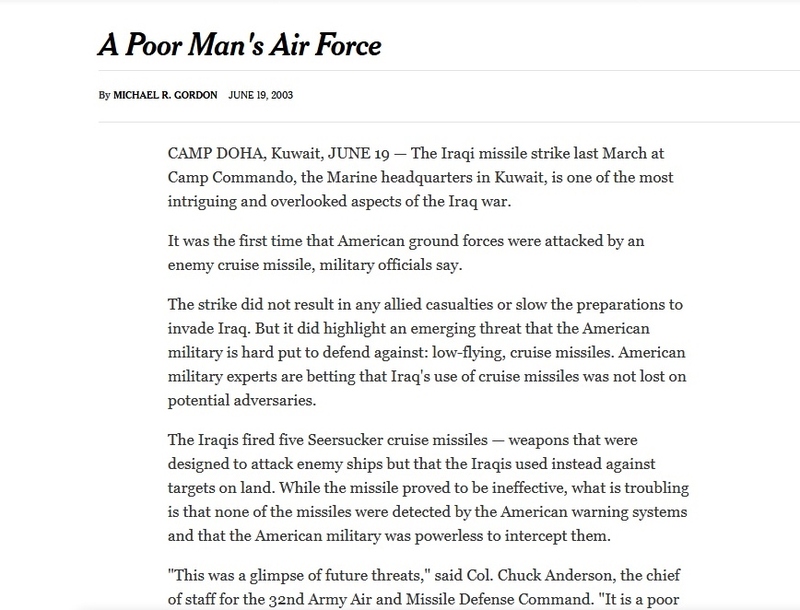 Cannibalize aircraft radar system and use on the ground? 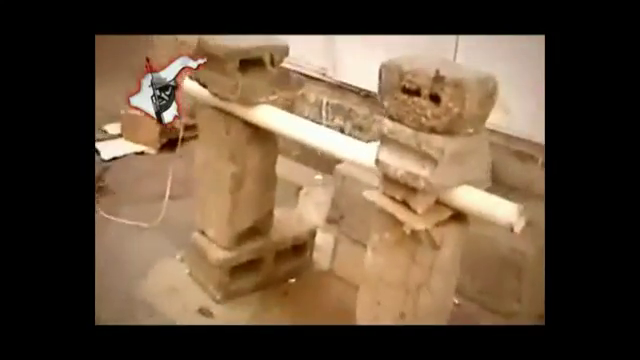 Parts cannibalized from one vessel to another similar vessel. 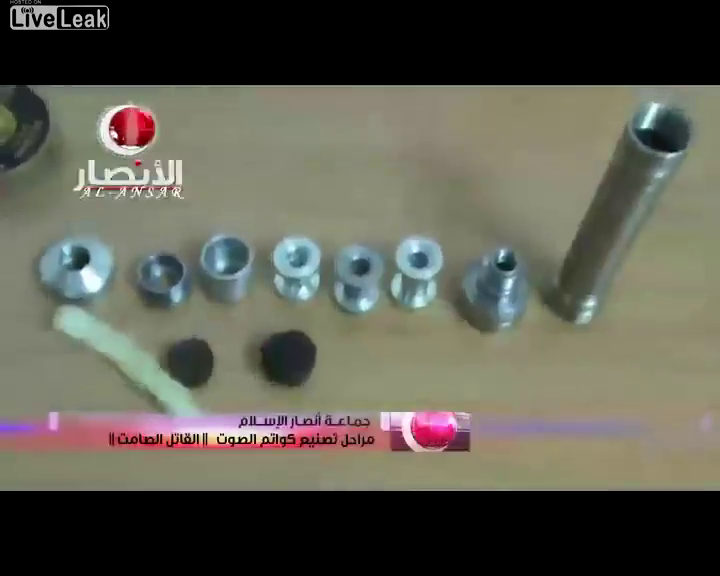 Weapons and equipment cannibalized from one vessel to a similar or dissimilar vessel. Large naval guns taken off vessels and placed around military fortifications. Smaller naval guns taken off vessels and mounted to trucks or other ground vehicles. Anti-ship missiles can be taken off naval vessels and fired from ground positions or ground vehicles. 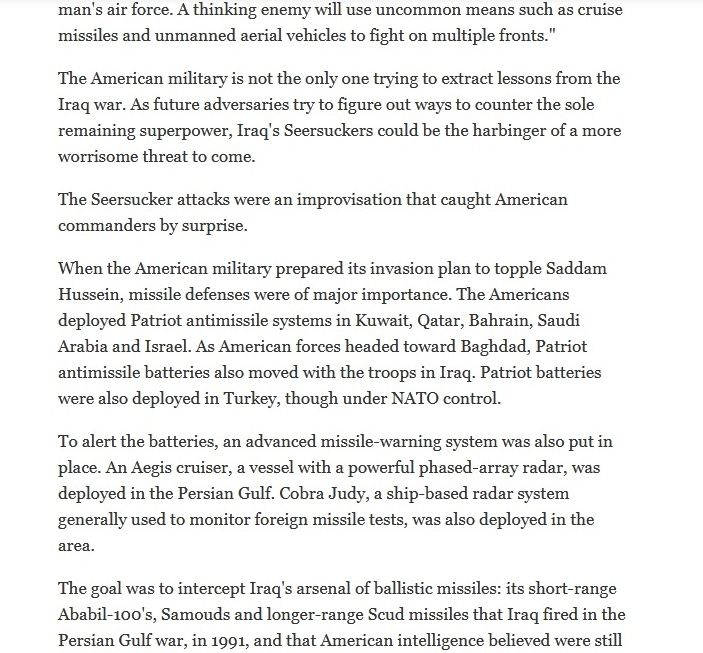 Cannibalize radar and communication systems on naval vessels and use on the ground? 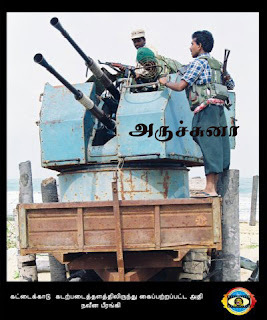 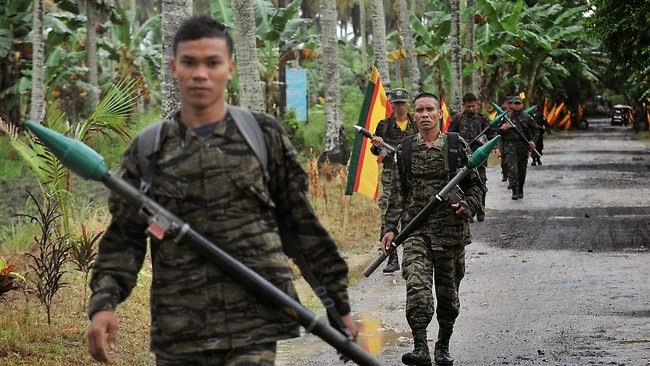 LTTE forces with a cannibalized gun turret from a Sri Lankan government naval vessel. Parts cannibalized from one vehicle to a similar vehicle. 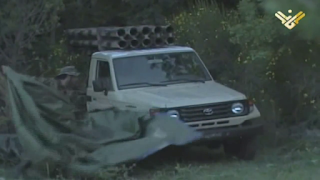 Weapons and equipment cannibalized from one vehicle to a similar or dissimilar vehicle. 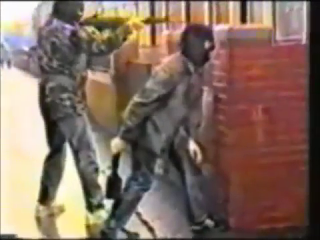 28 FEB 1997- North Hollywood bank shootout. 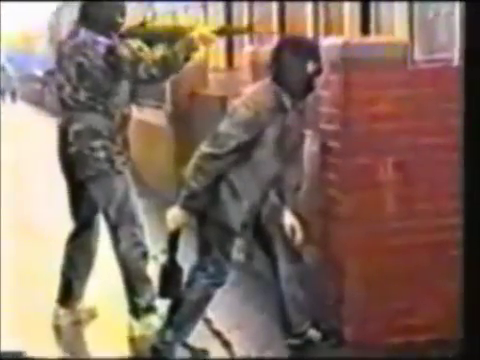 Two heavily armed bank robbers get into a shootout with local police before being killed. 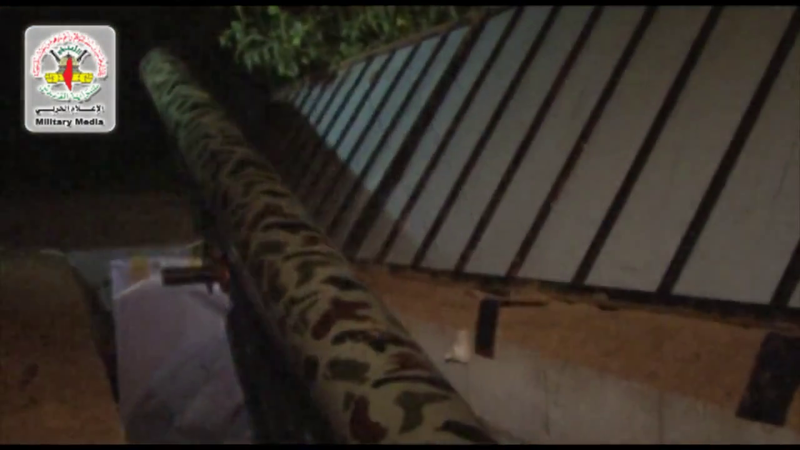 Both bank robbers were wearing body armor and used semi-automatic rifles converted to fire full automatic. 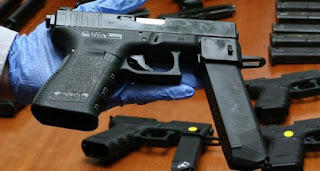 The police had to commander an armored truck and some police officers even had to get guns appropriate for penetrating the perpetrators body armor from a local gun store. 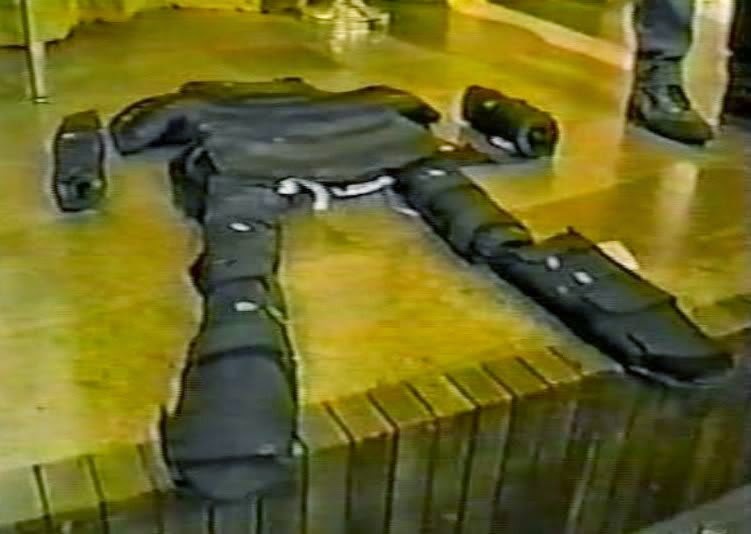 One of the bank robbers used a Type IIIA vest with additional armor added to the shins, groin, thighs, and forearms made up of pieces of Kevlar armor taken from spare vests. 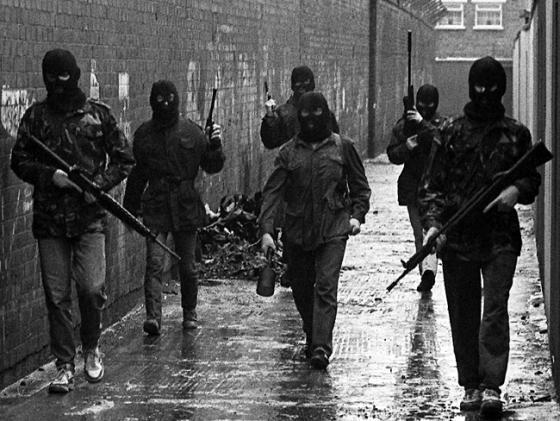 The robbers however, were not protected in the head and only wore ski masks. 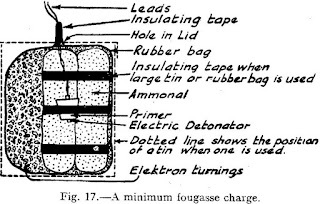 Idea for a Kevlar backpack or plain backpack with a steel or ceramic plate inside. 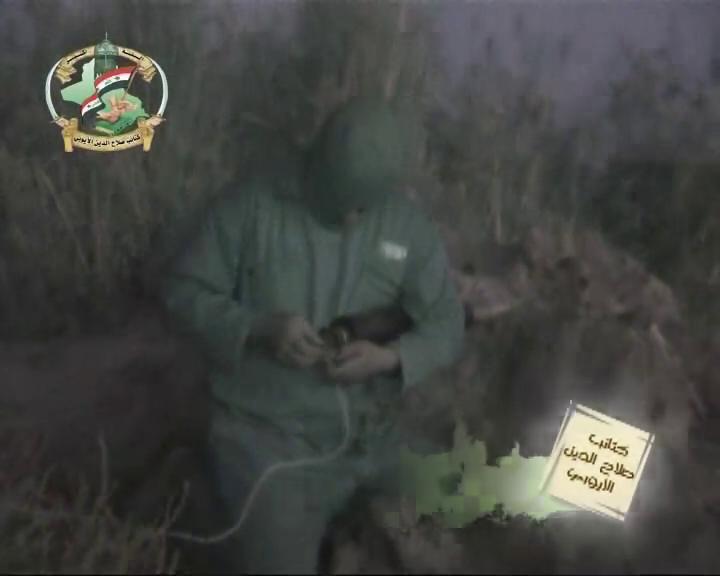 The backpack is turned around and placed over the chest before combat operations??? 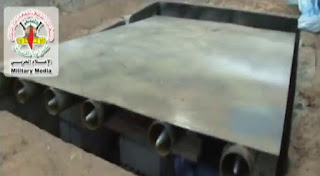 Improvised body armor using duct tape, thick book and ceramic tile. 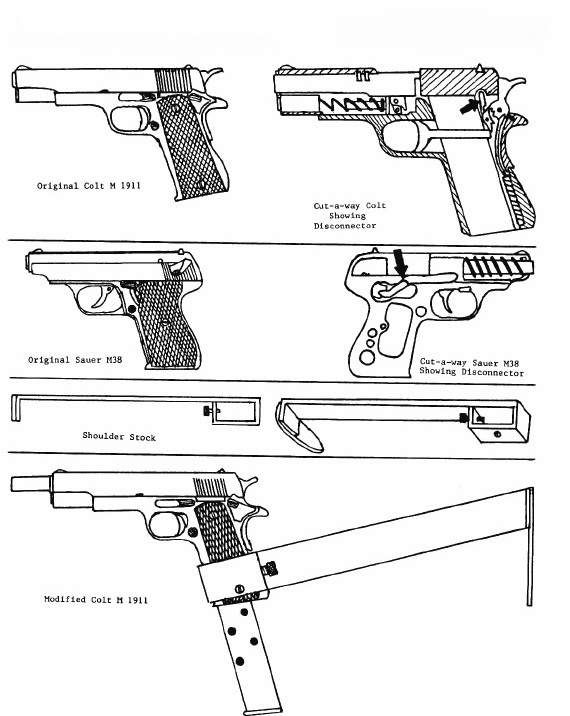 Capable of stopping handgun bullet of lesser caliber such as a 9mm.??? 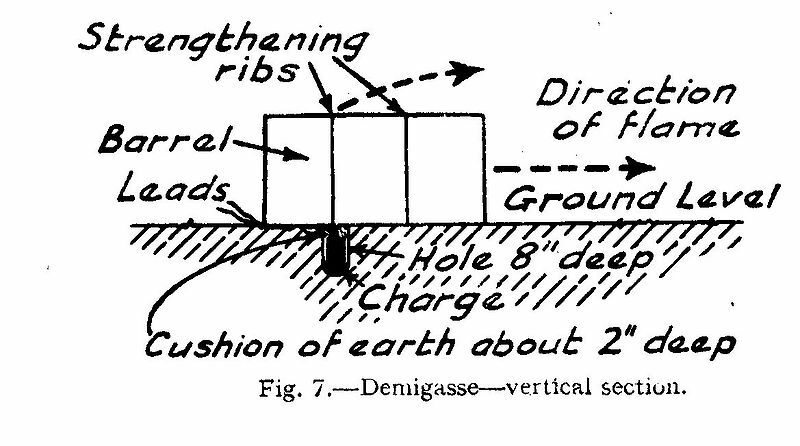 Books and phone books are known to be used as improvised body armor in US prisons to protect against blades and sharp instruments. 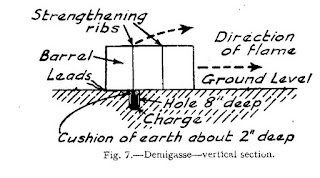 The books are taped or strapped to the prisoners body. 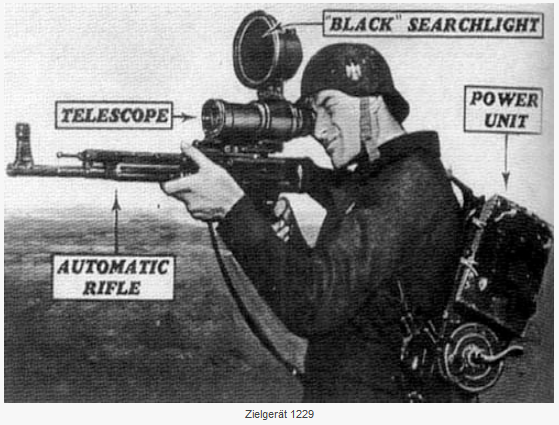 Perhaps based upon the German ZG 1229 "Vampir" scope used during World War 2? 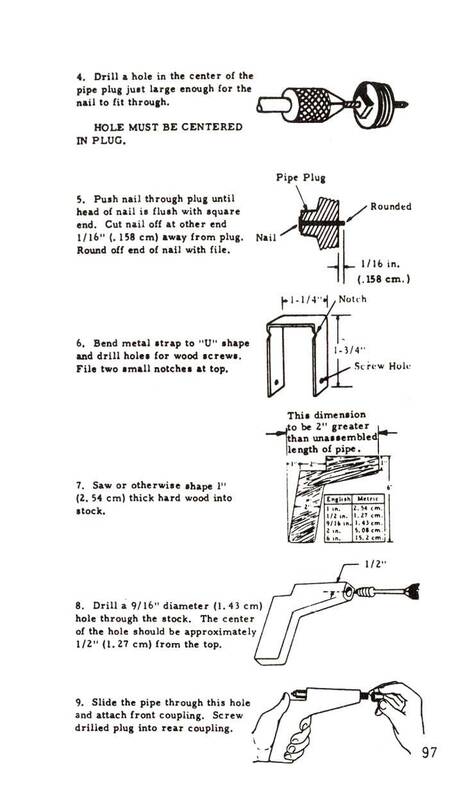 Same principle, only using modern technology, making it a lot easier. 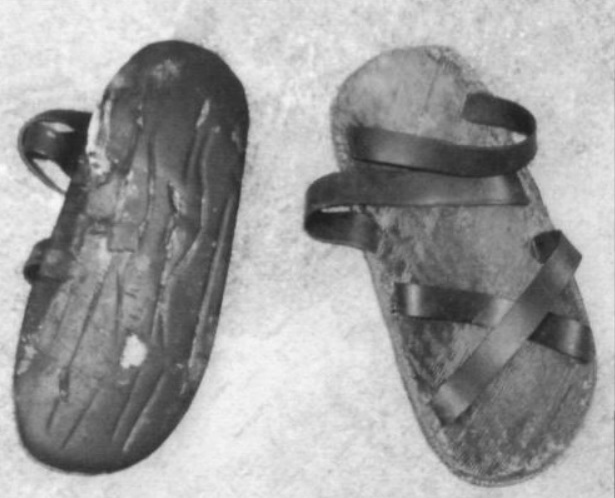 Sandals made from old tires like so called "Ho Chi Minh" sandals used by Viet Cong forces. Improvised rifle slings using rope, parachute cords, straps from gym bags, laptop computer bags, etc. 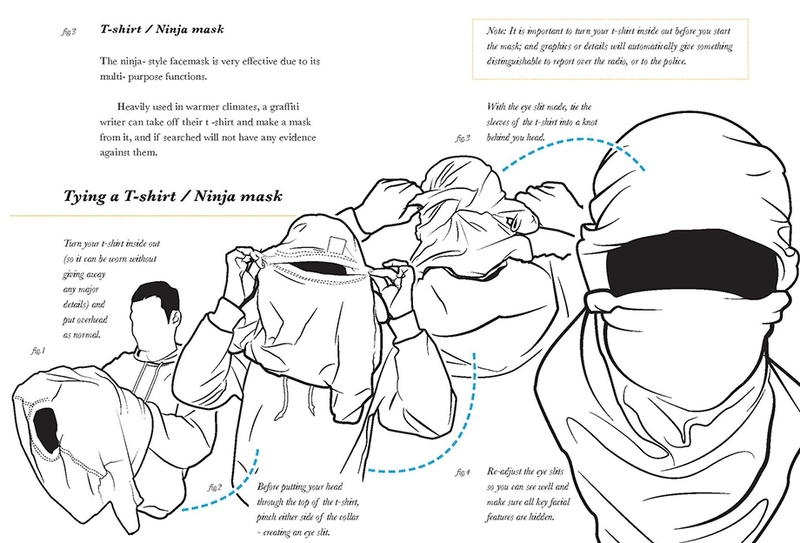 A shirt can be used as an improvised mask. 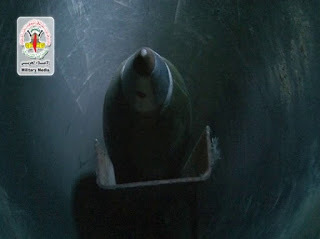 The shirt is placed over the head but the eyes look through the neck hole. The remainder of the shirt covers the head completely. 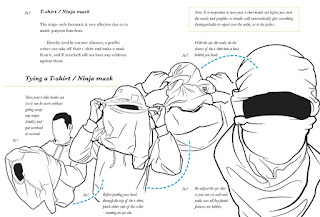 The sleeves of the shirt are tied around the back of the head or neck. Civilian trucks and other vehicles that form the chassis of an armored vehicle. Use of unfinished products in a plant for the production of military items. 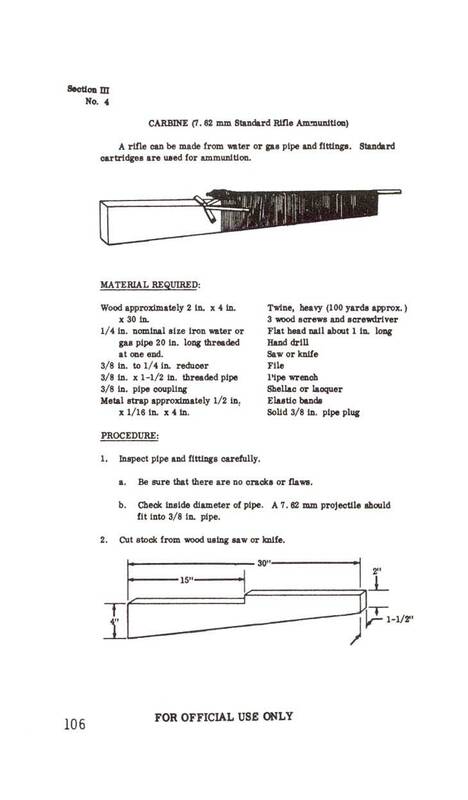 The formula and materials used in the coatings.